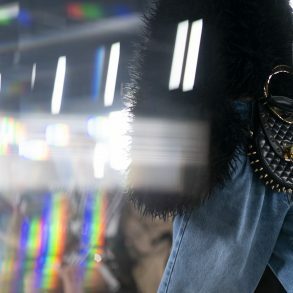 As many may know, males peacocks are usually an iridescent shade of bright blue. 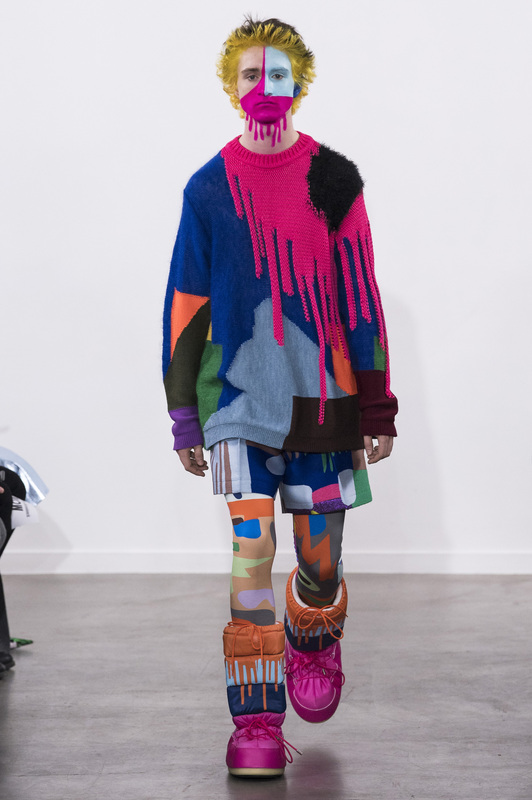 Full of bold coloration which helps them to attract mates. 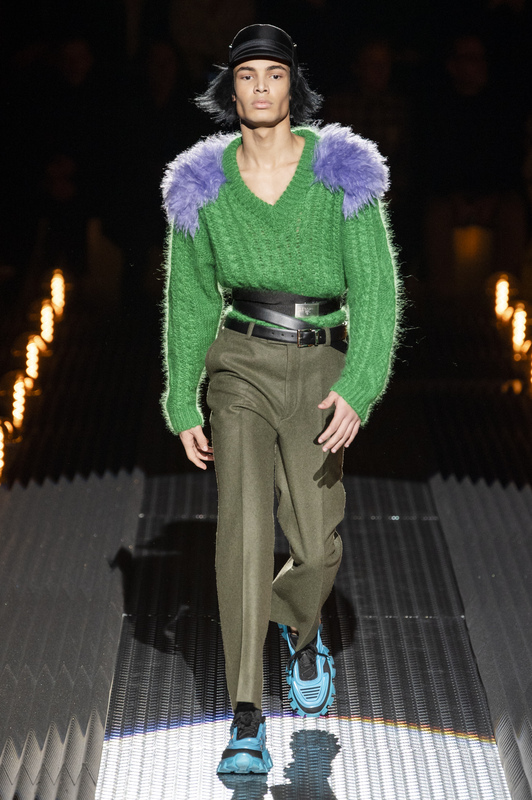 Females of the species, on the other hand, have much more subdued plumage. 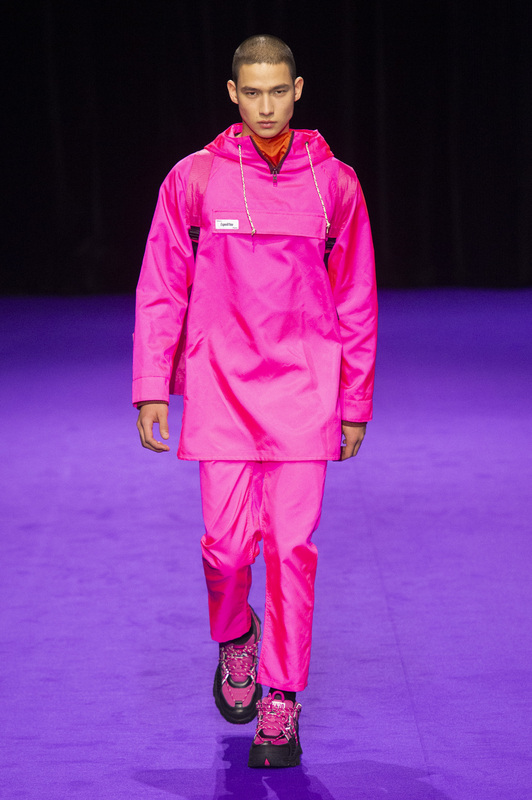 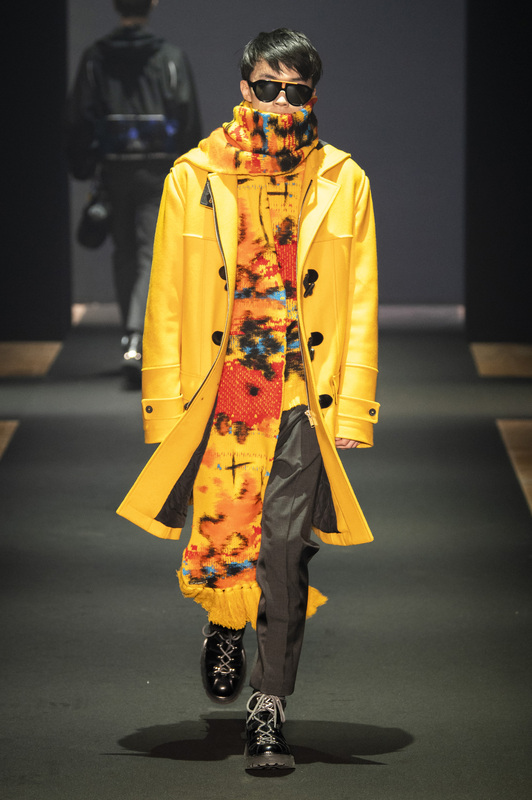 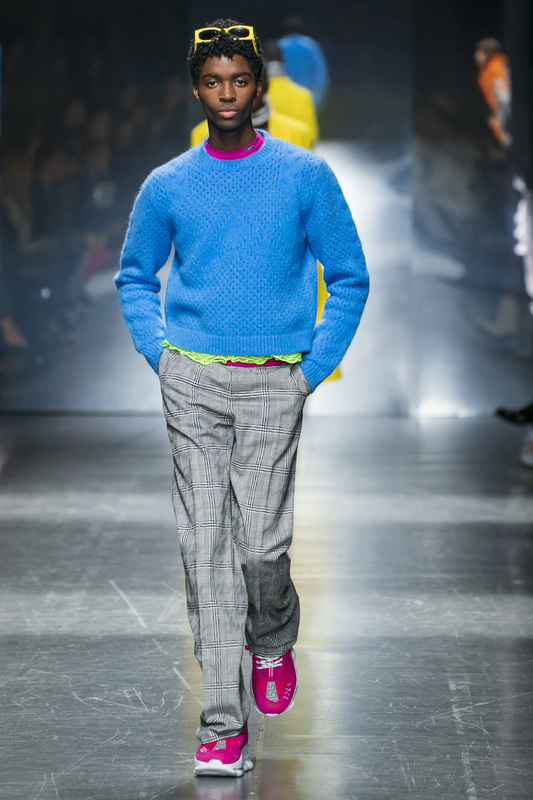 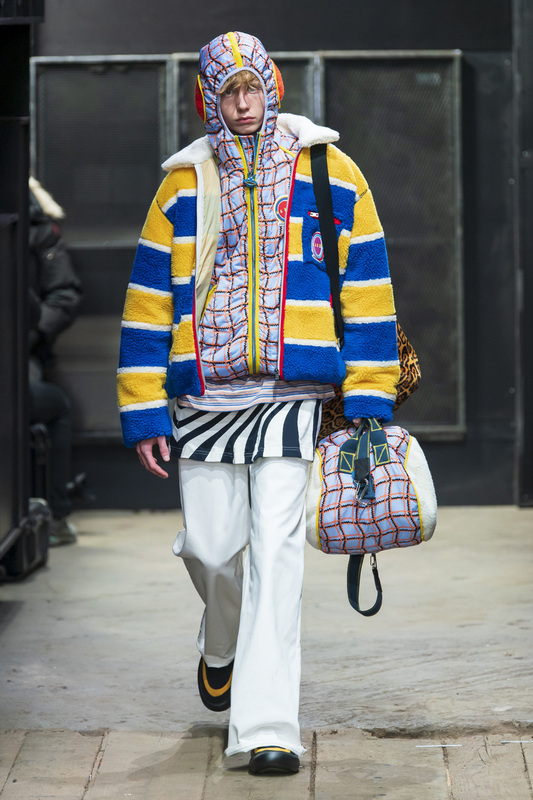 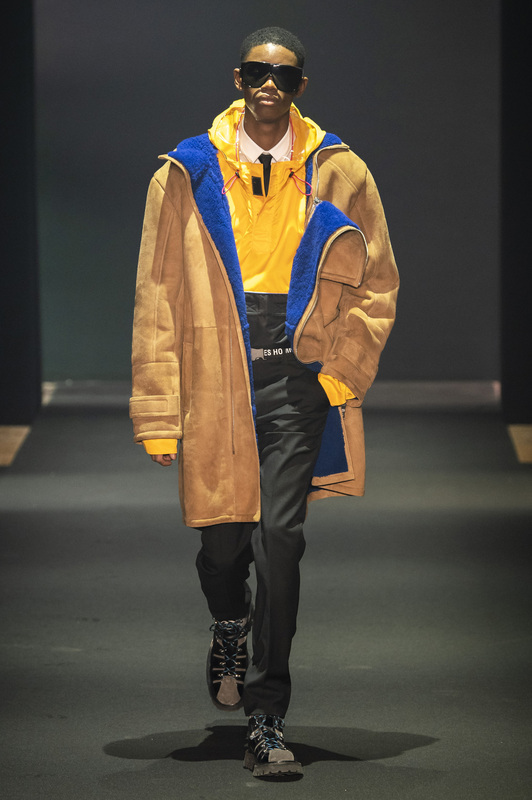 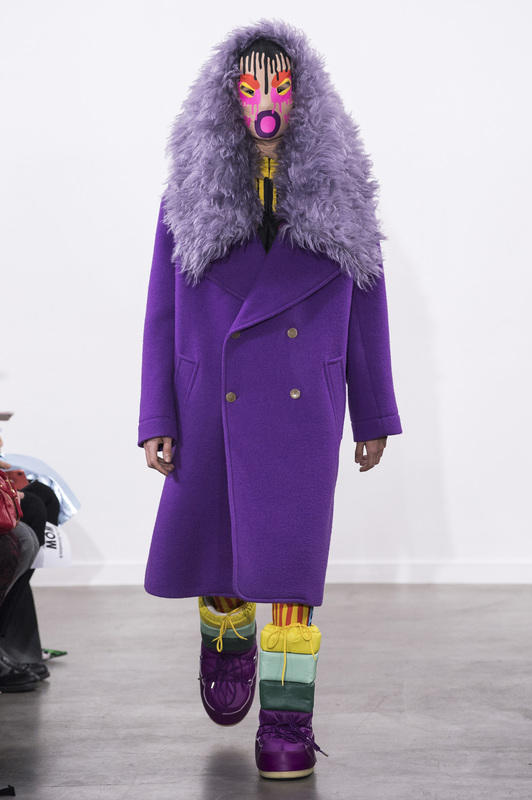 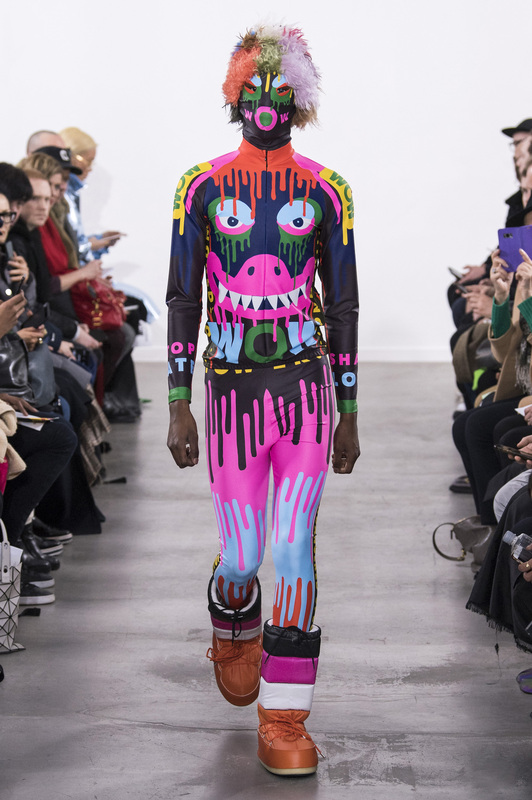 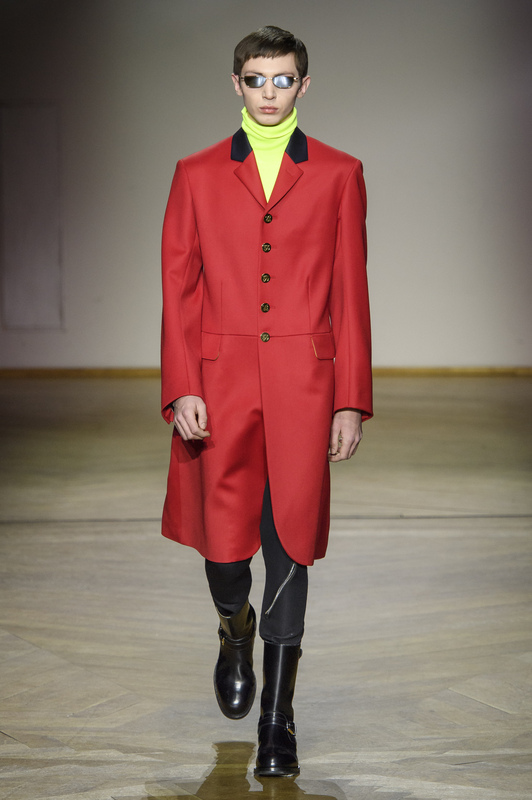 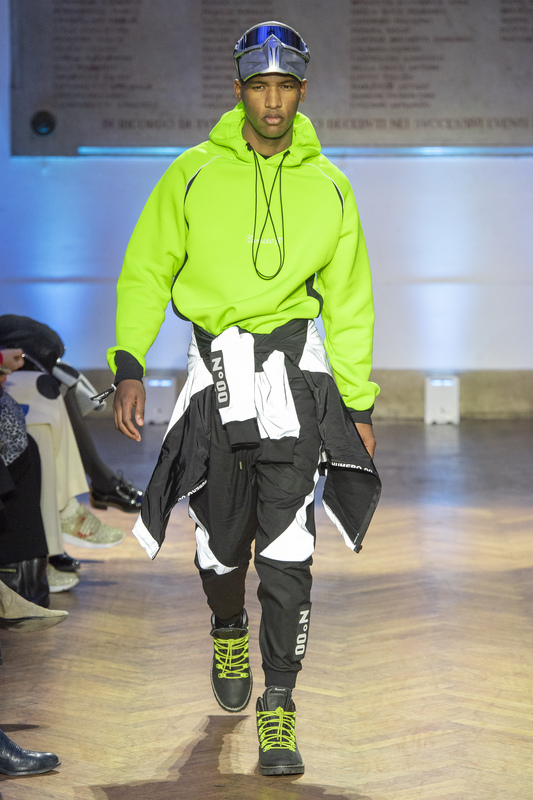 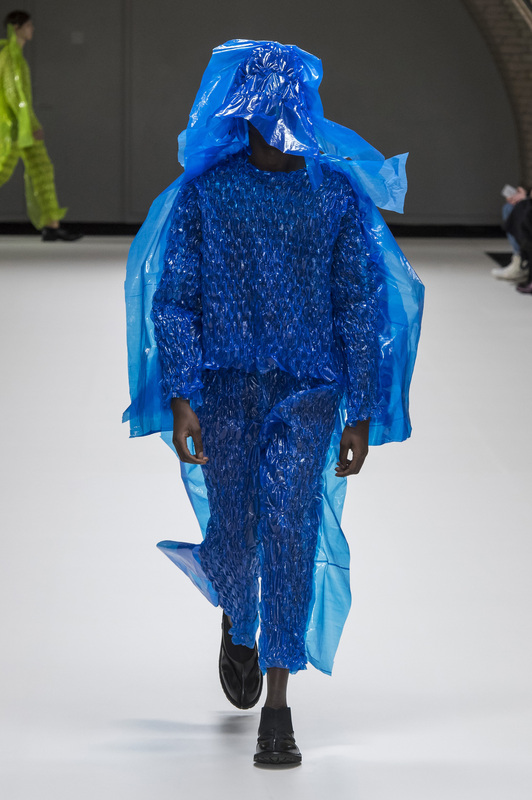 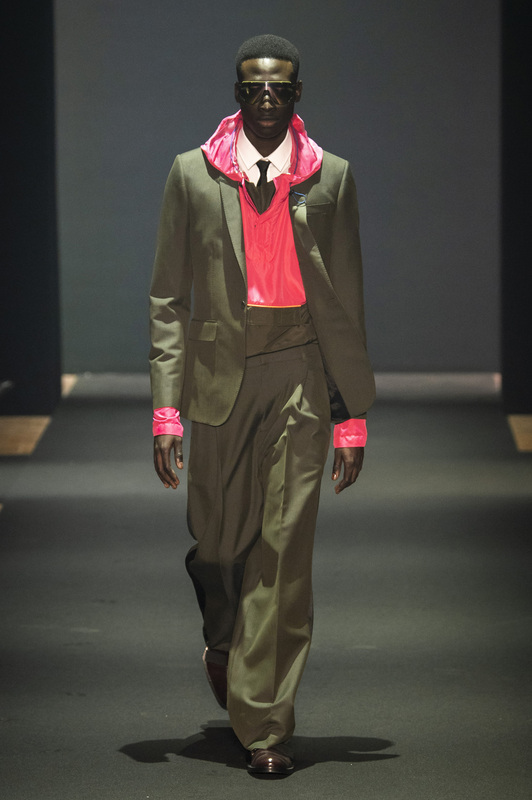 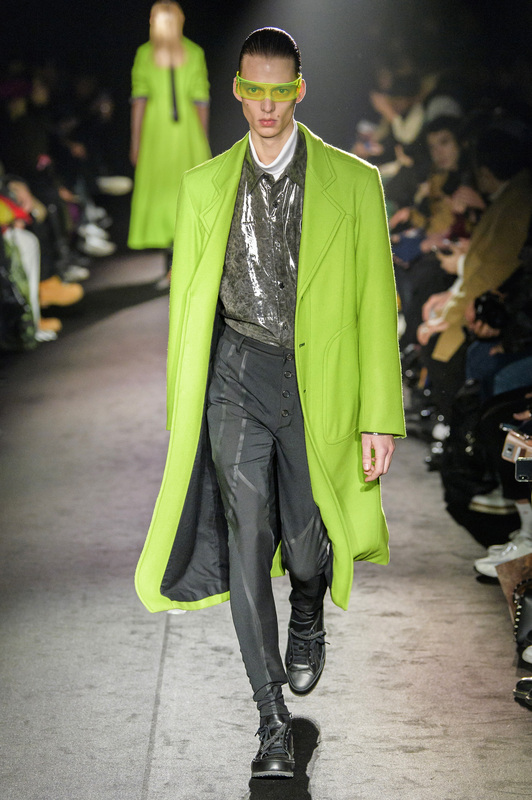 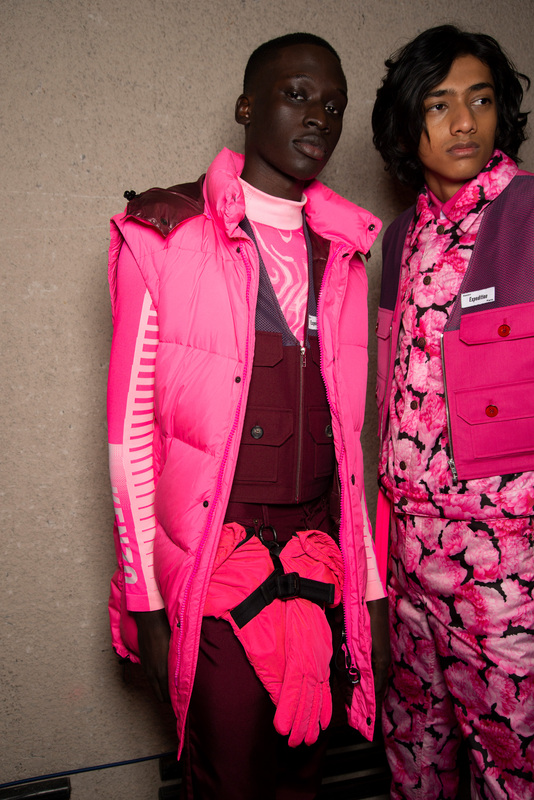 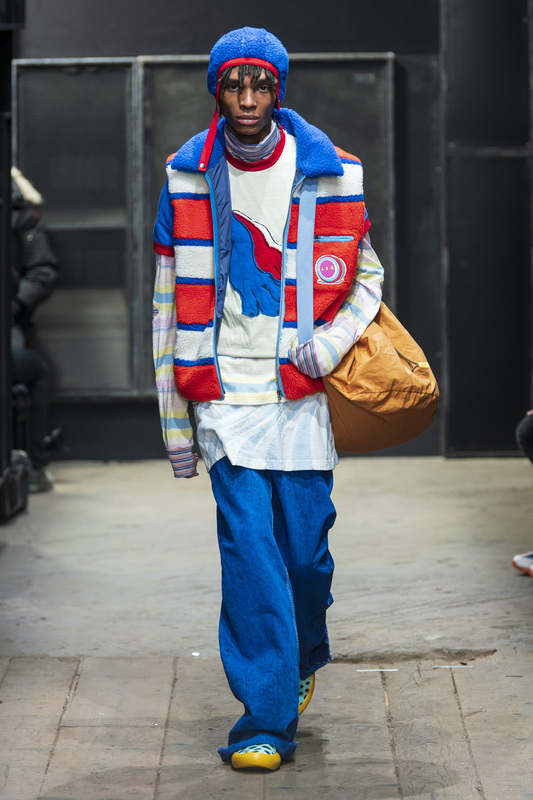 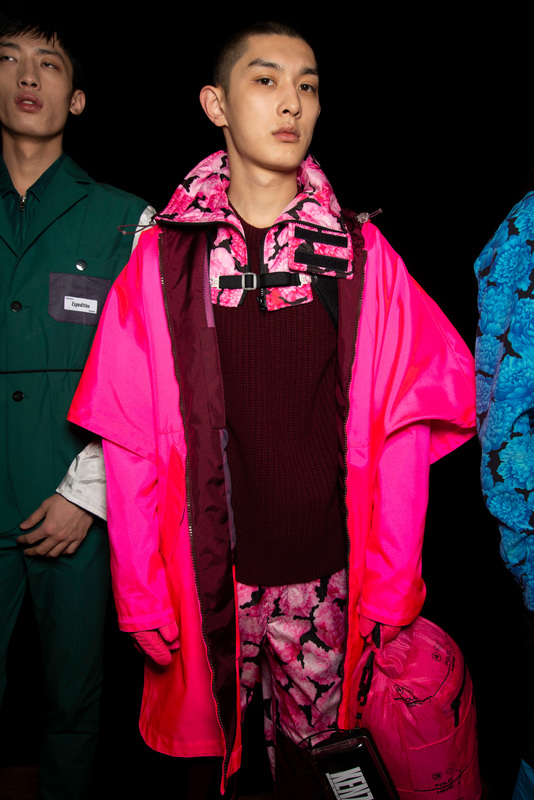 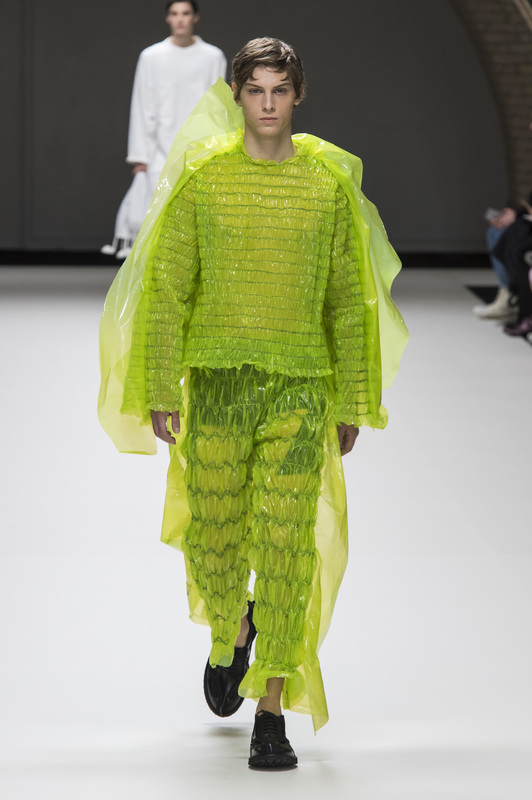 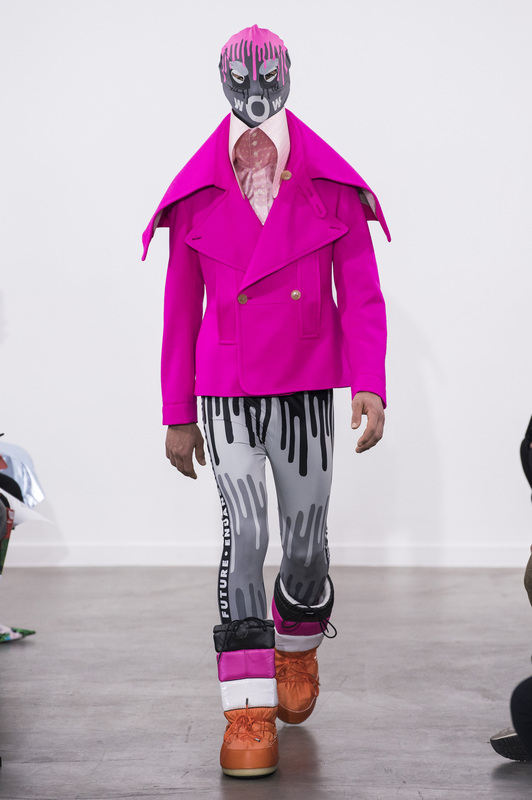 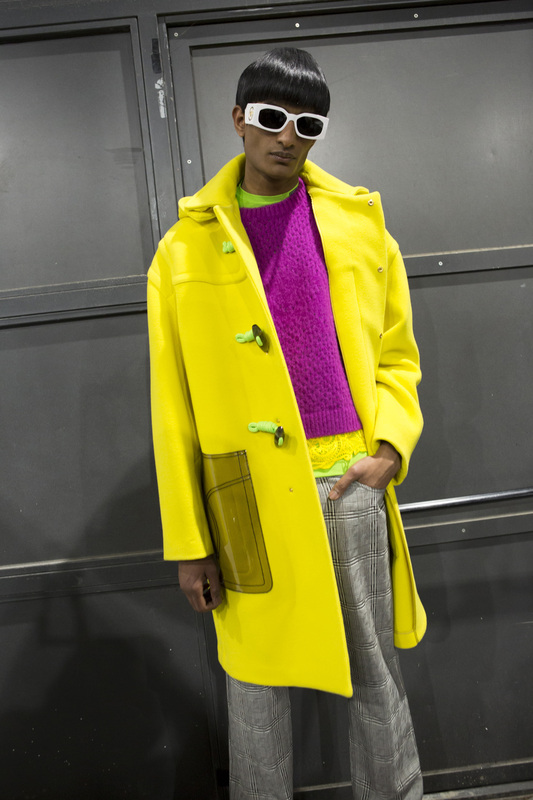 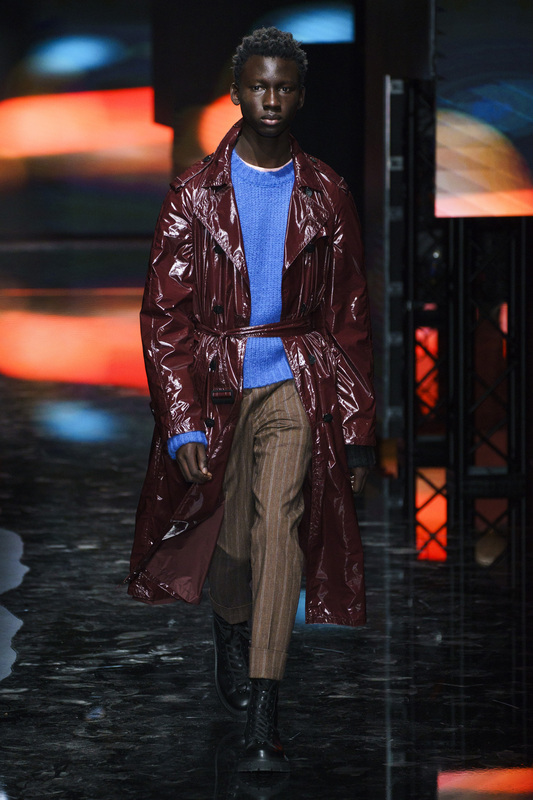 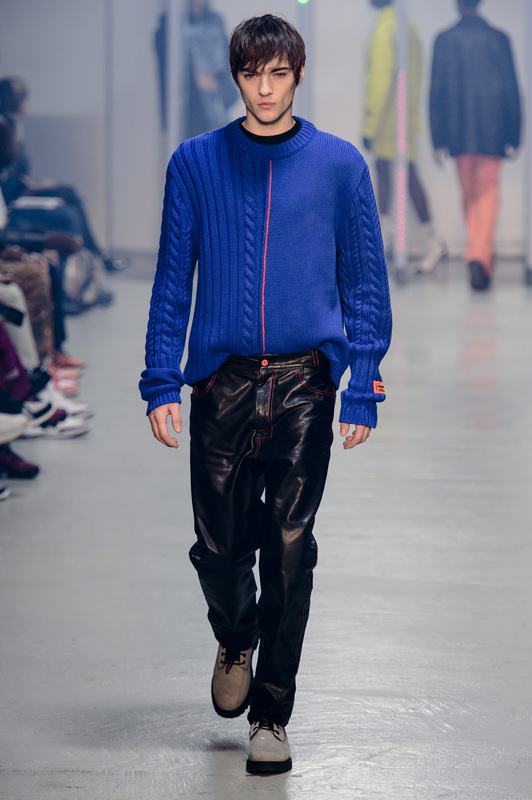 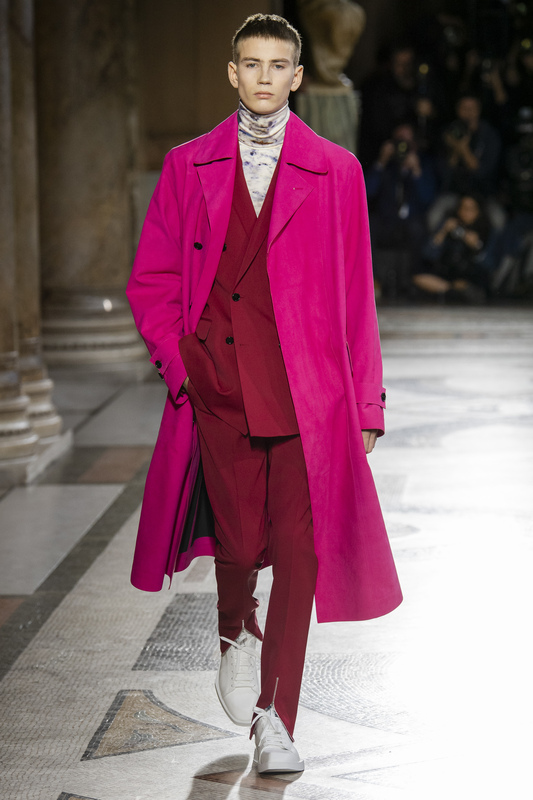 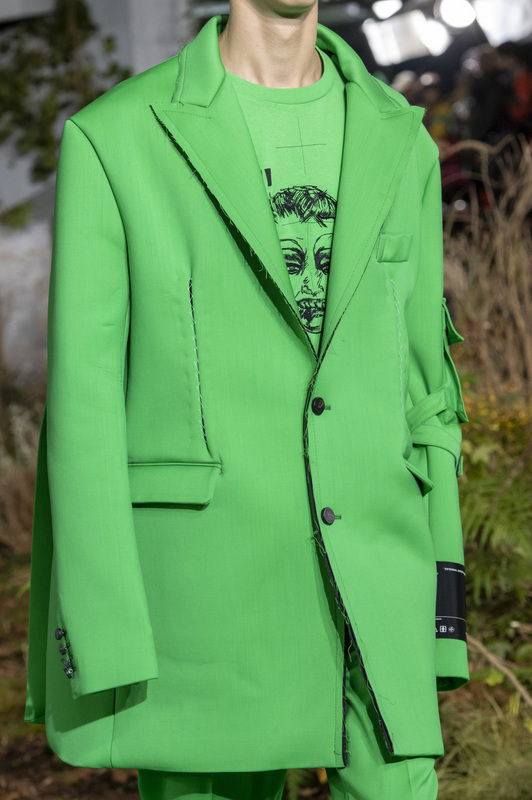 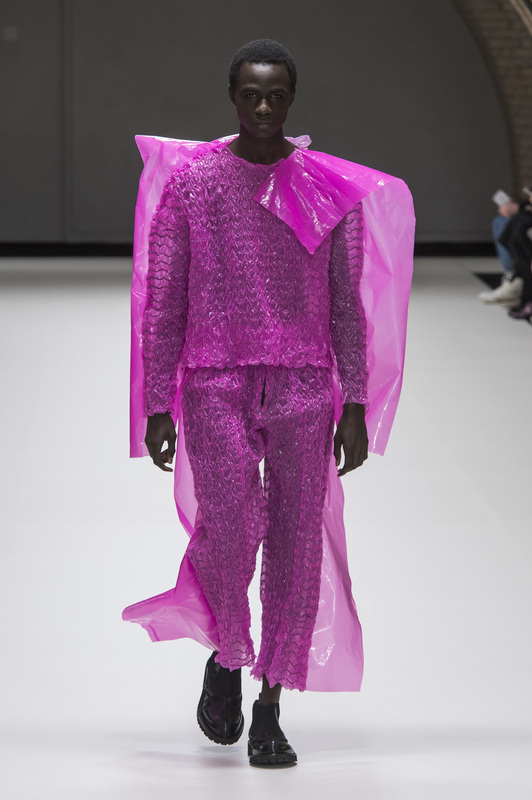 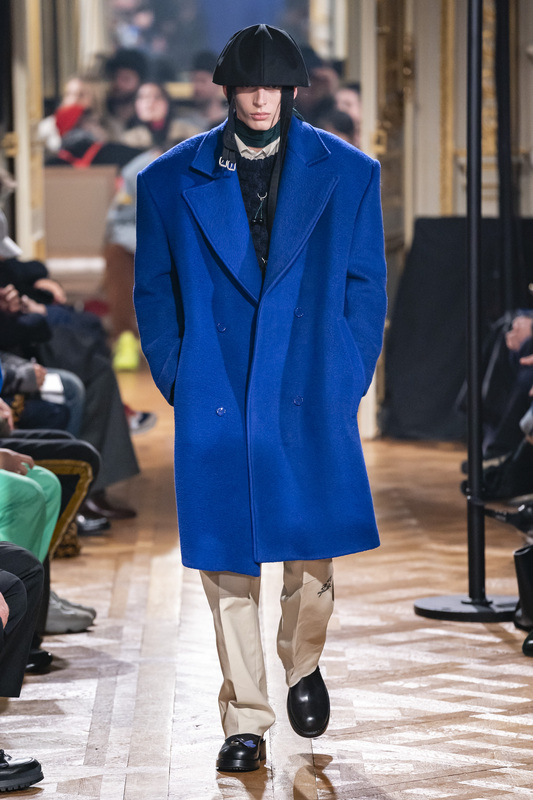 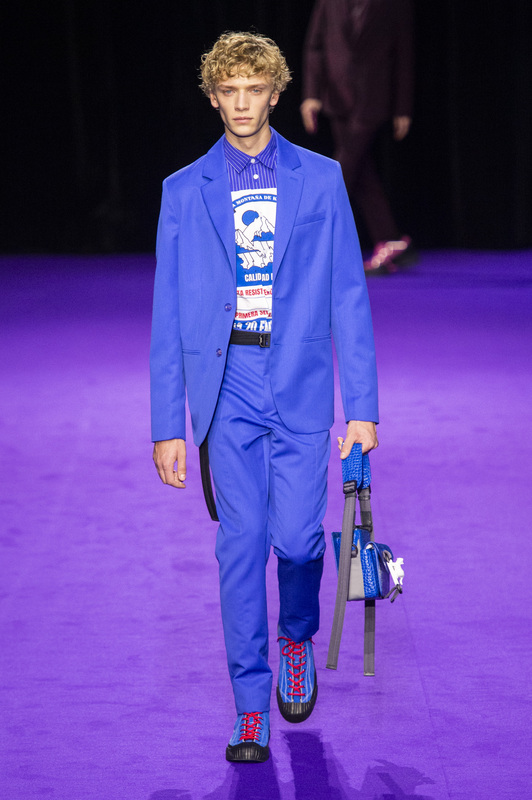 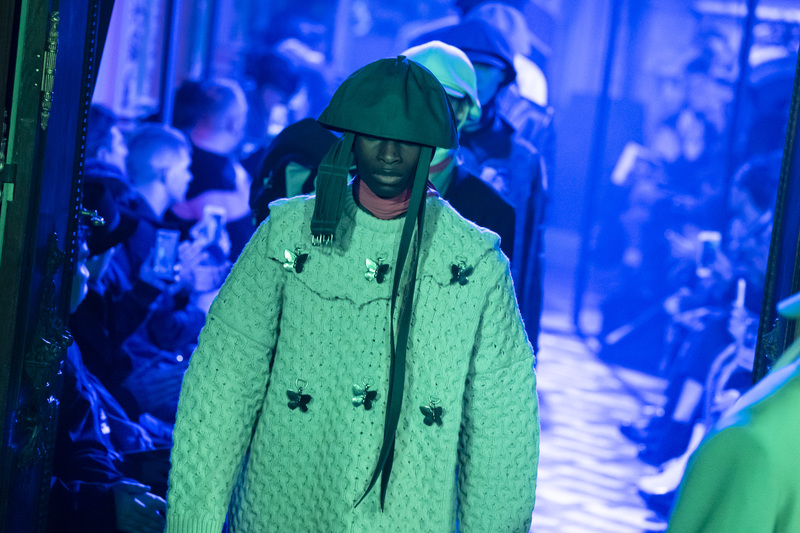 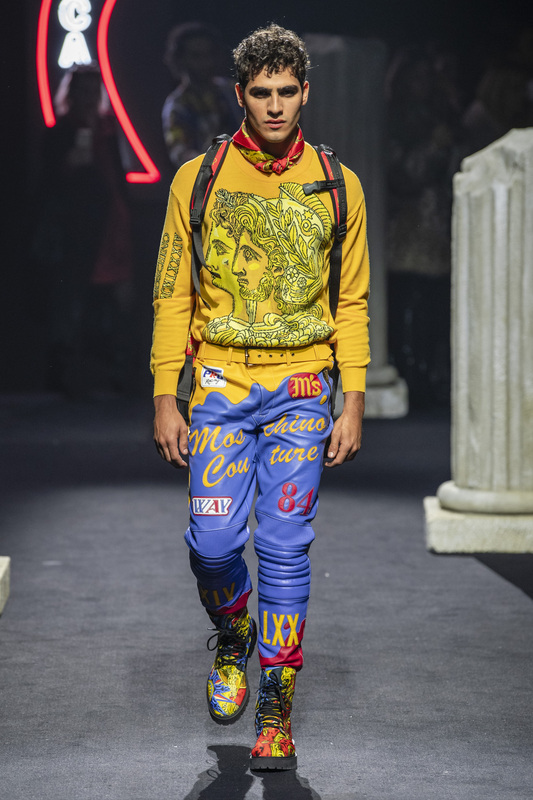 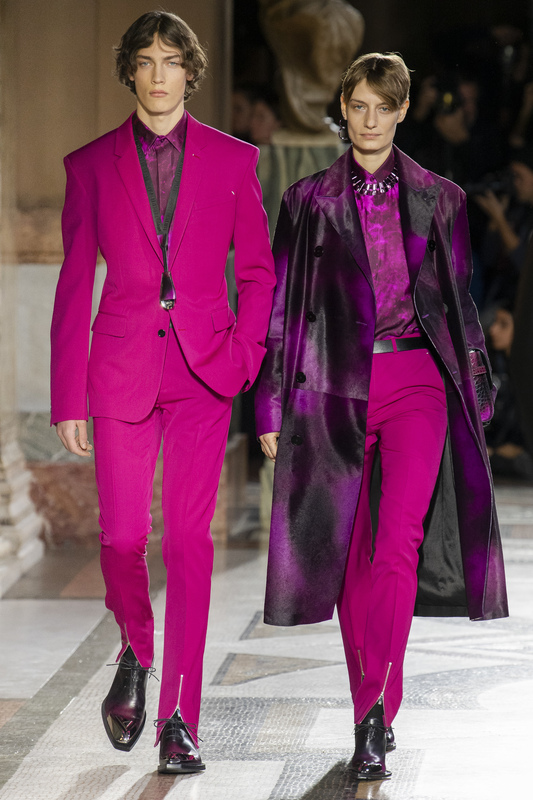 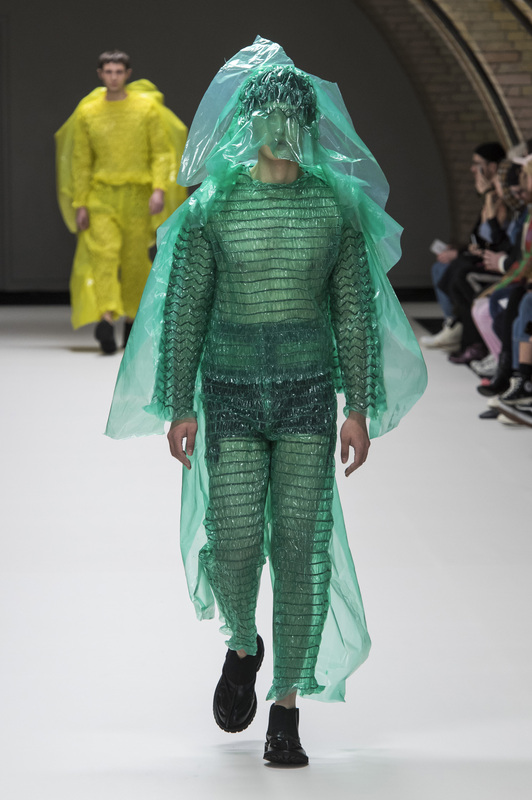 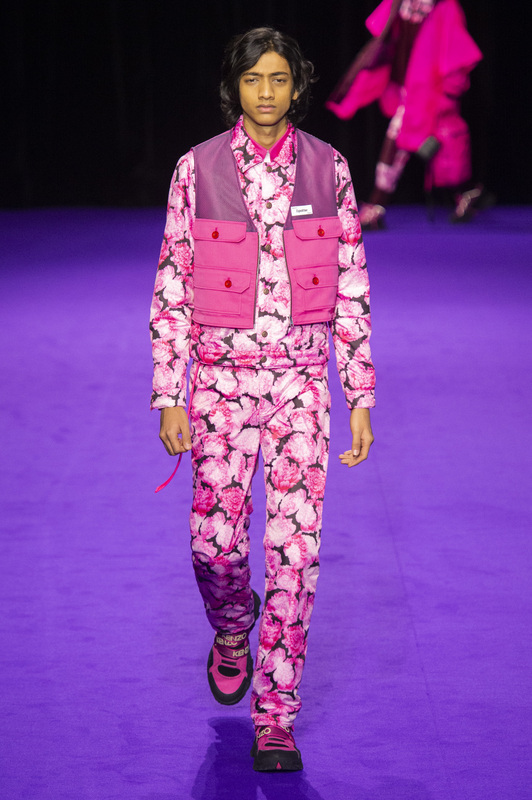 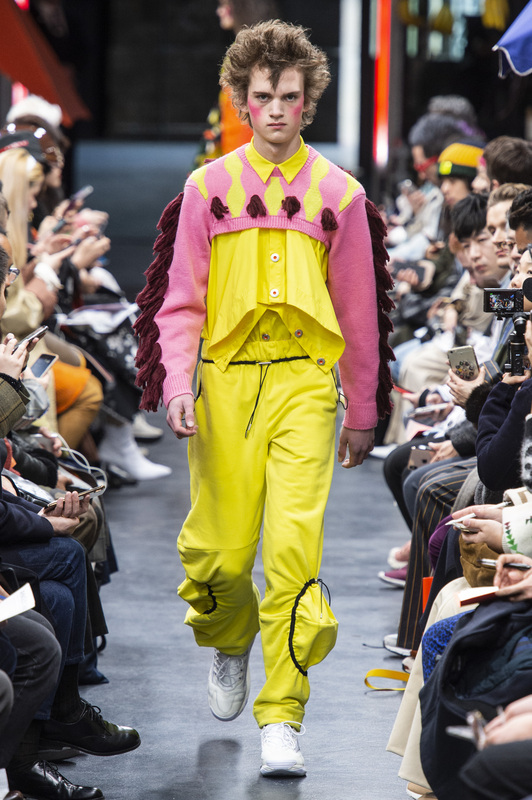 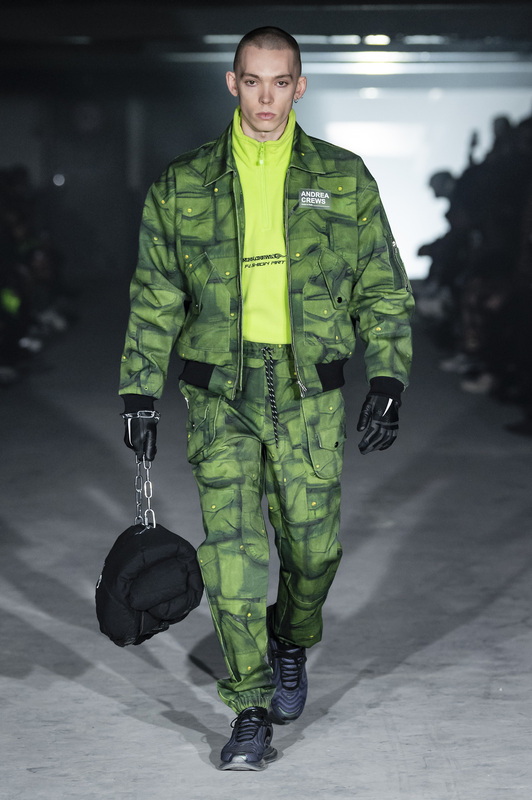 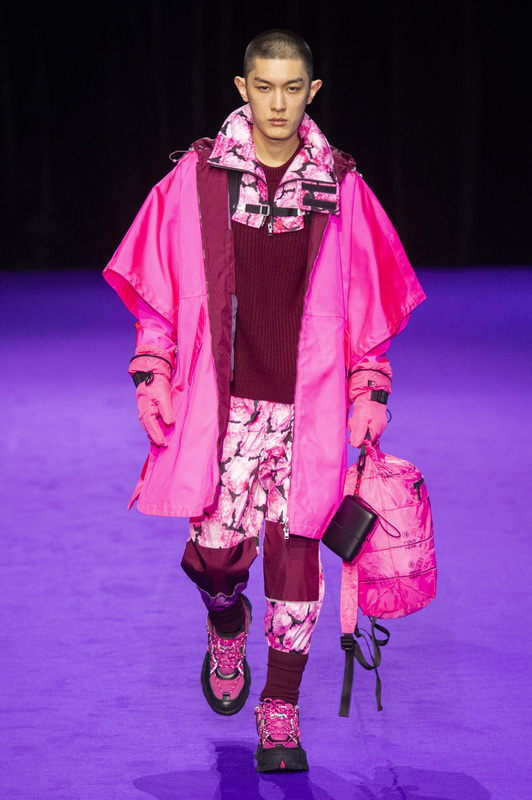 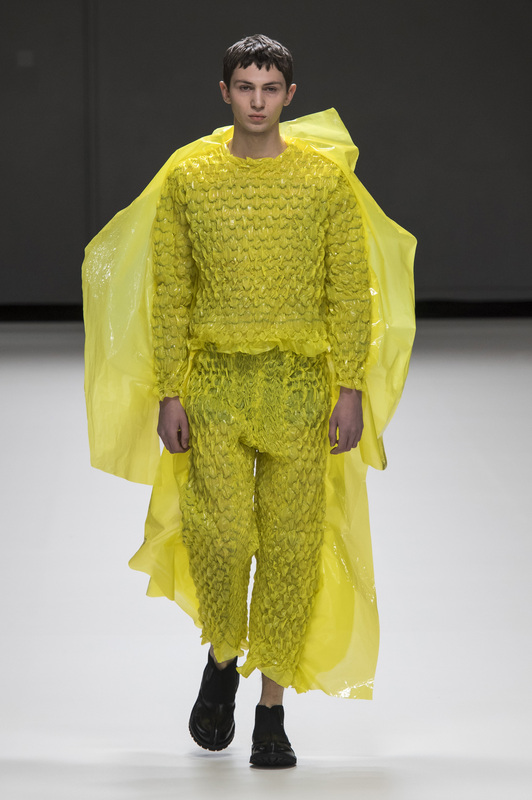 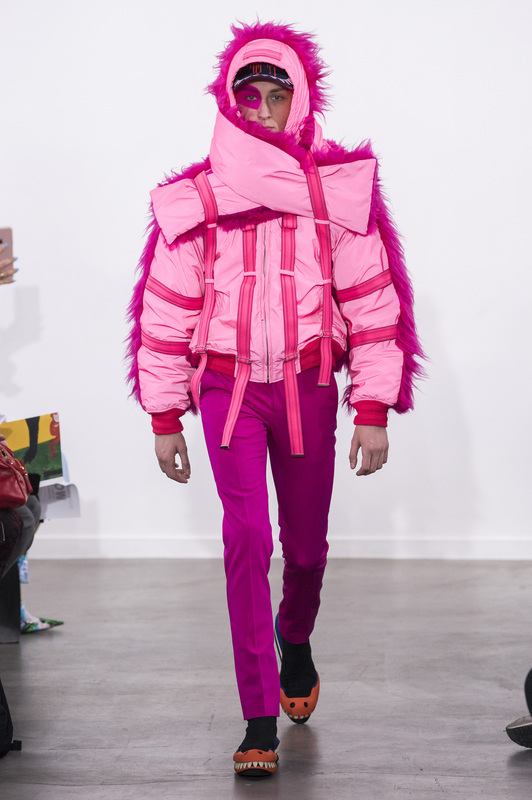 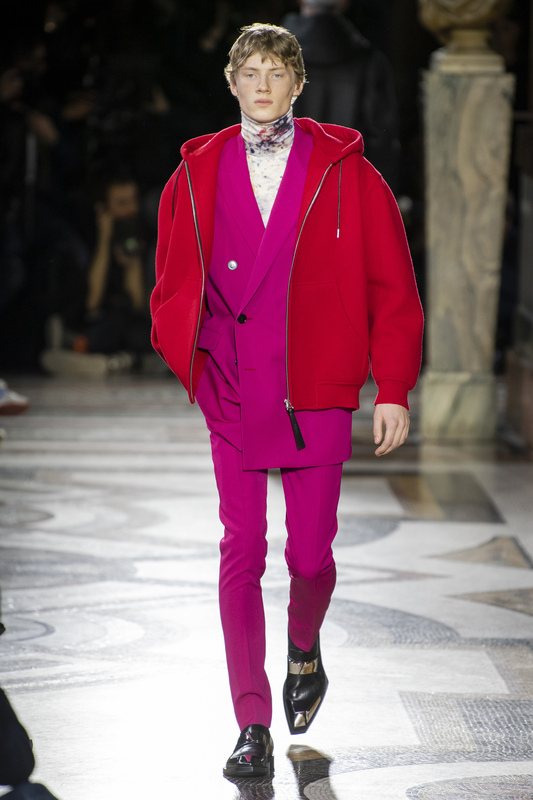 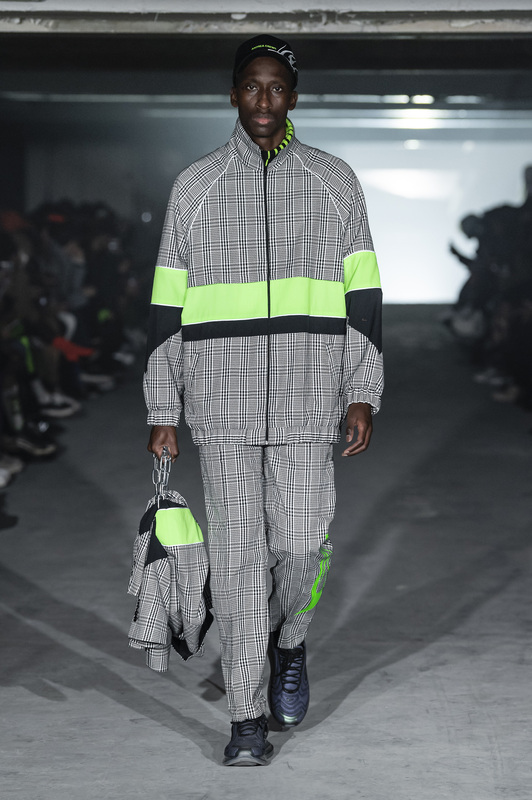 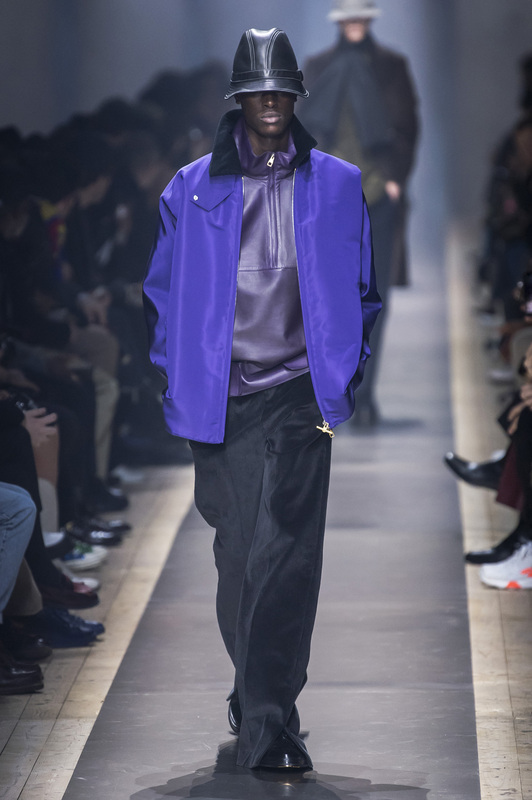 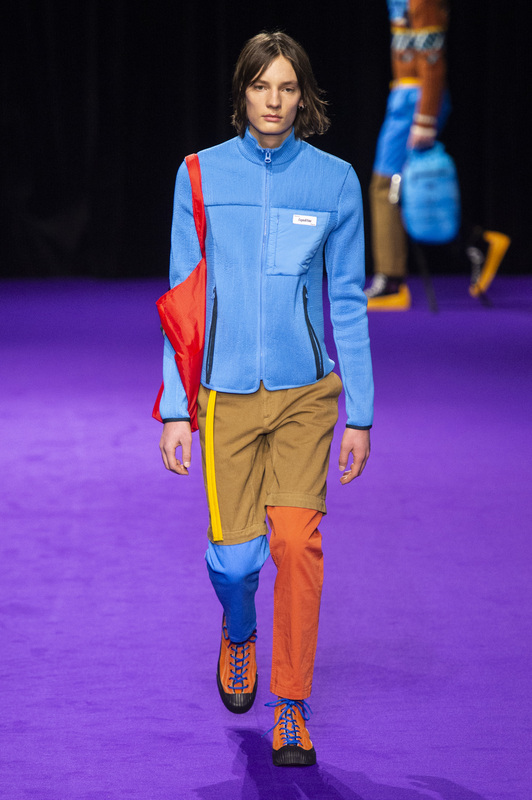 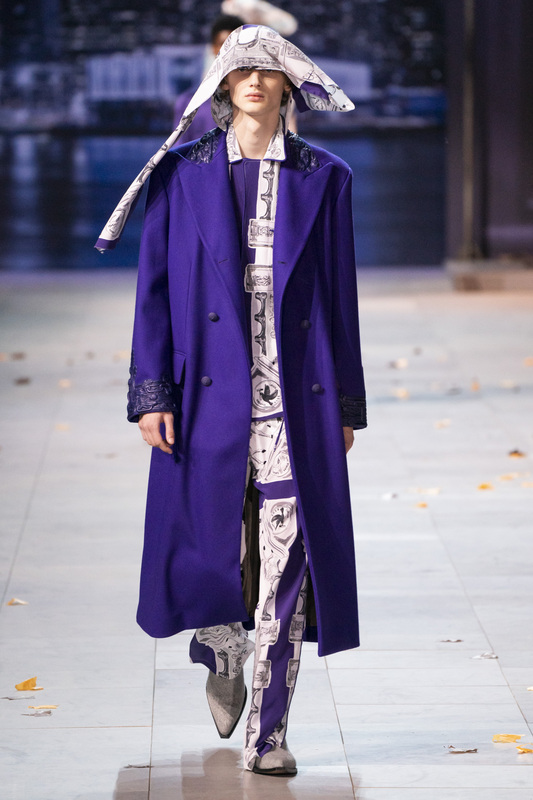 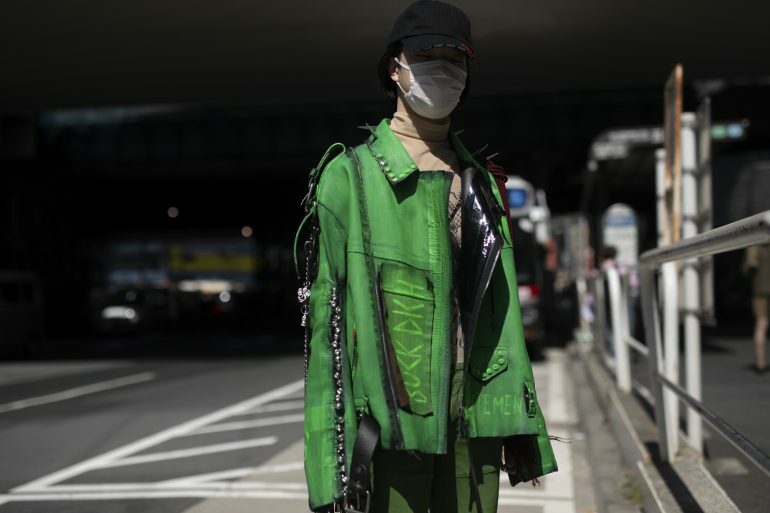 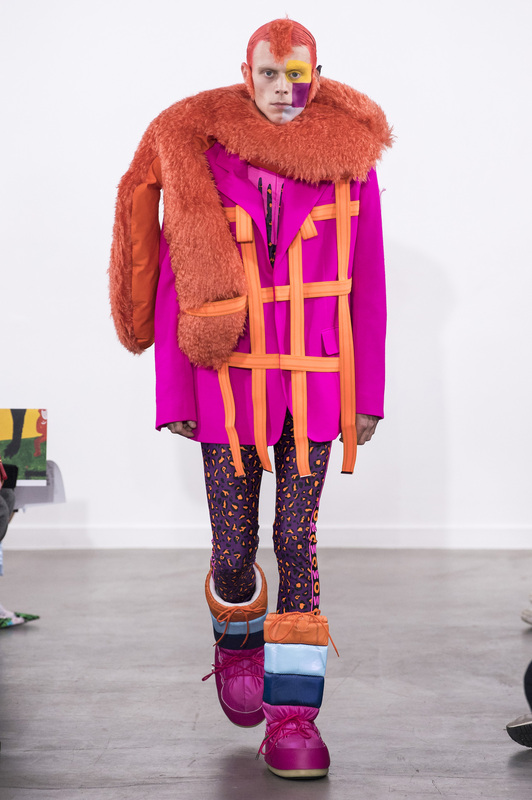 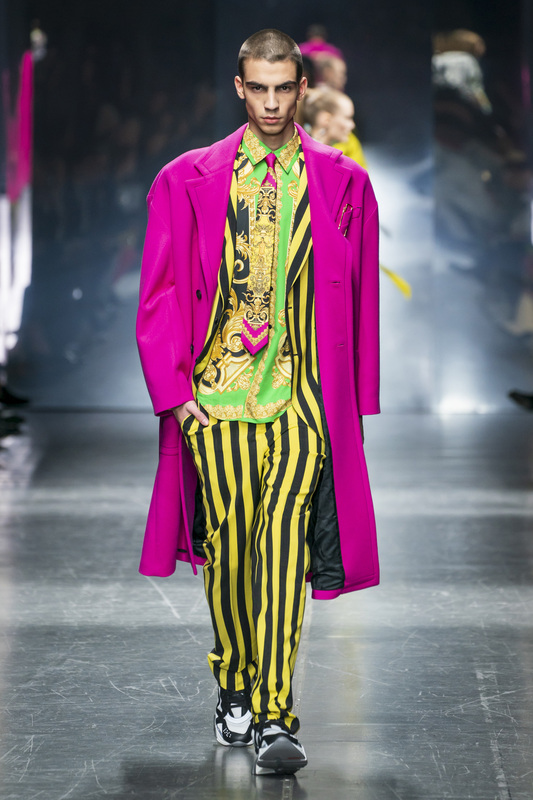 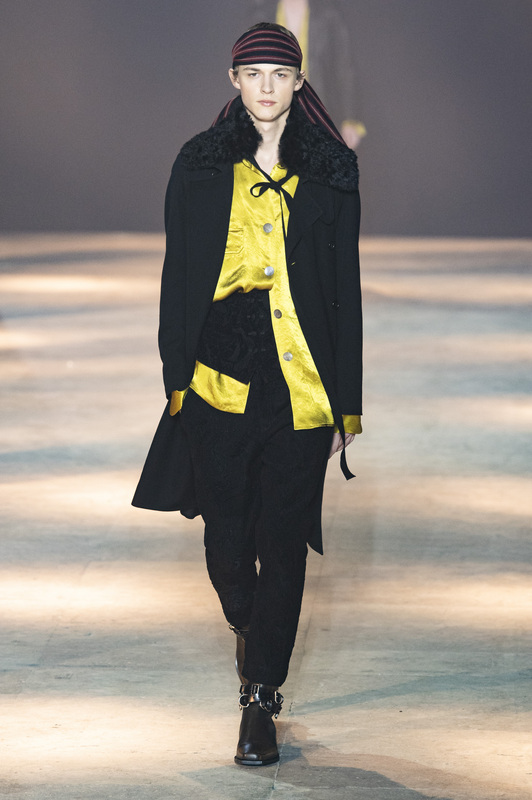 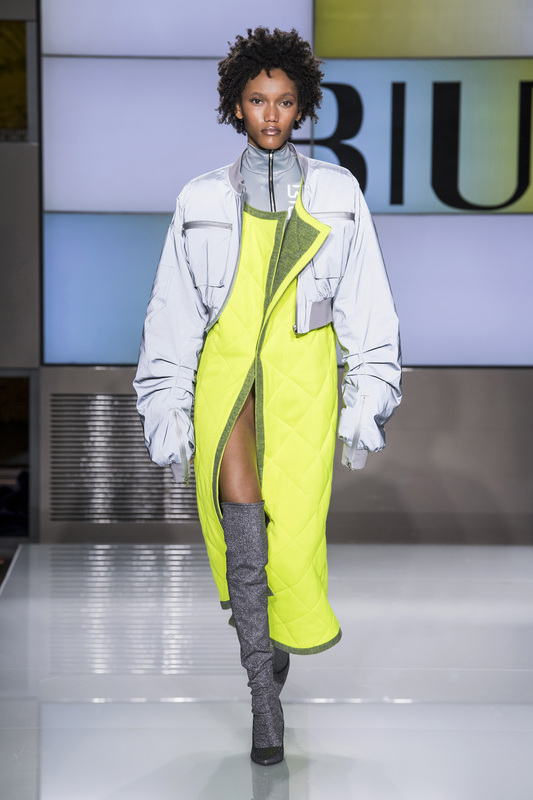 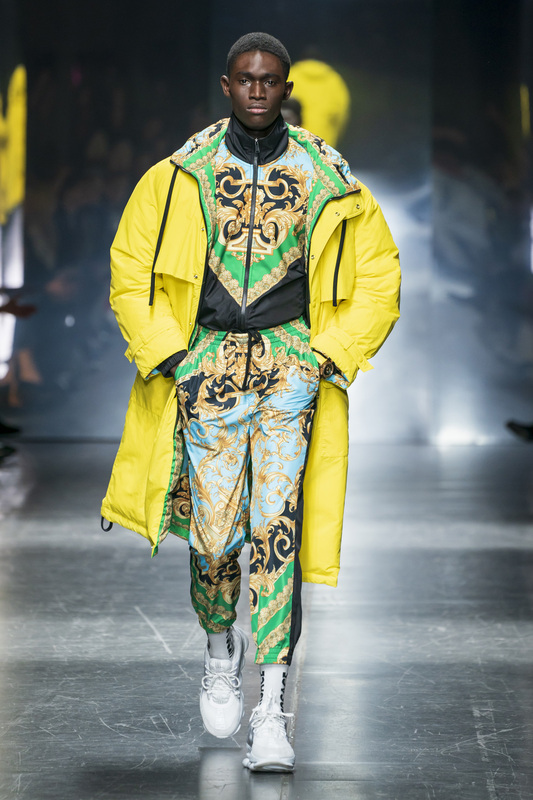 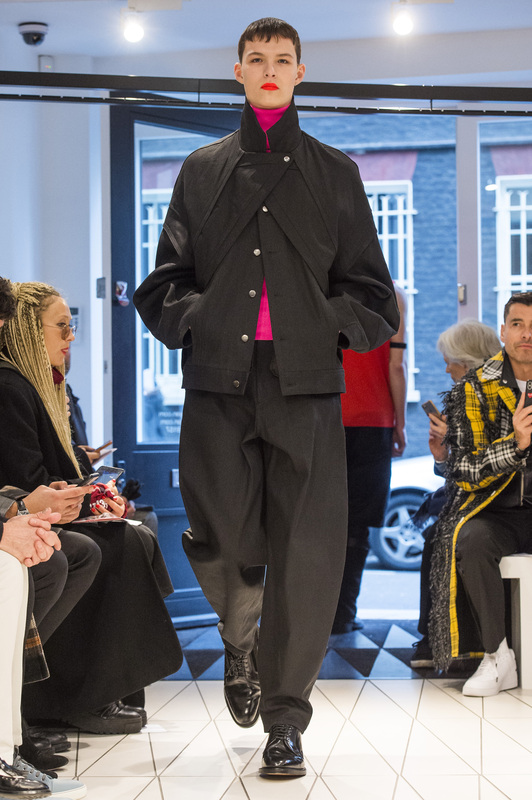 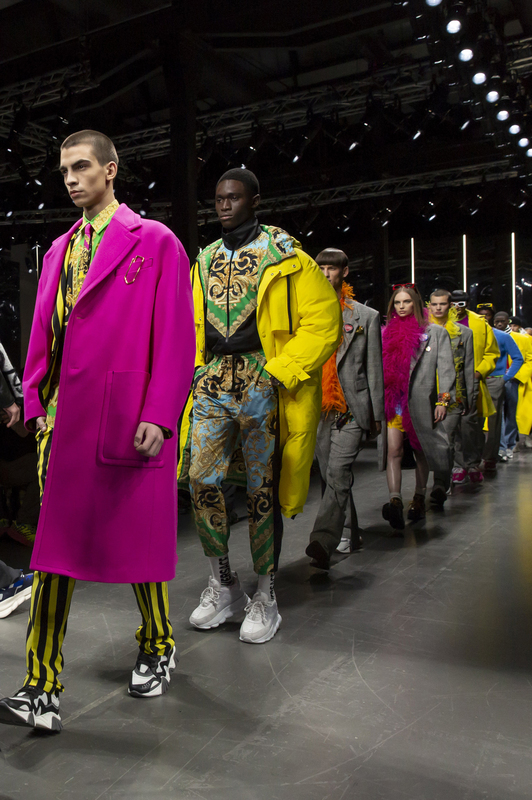 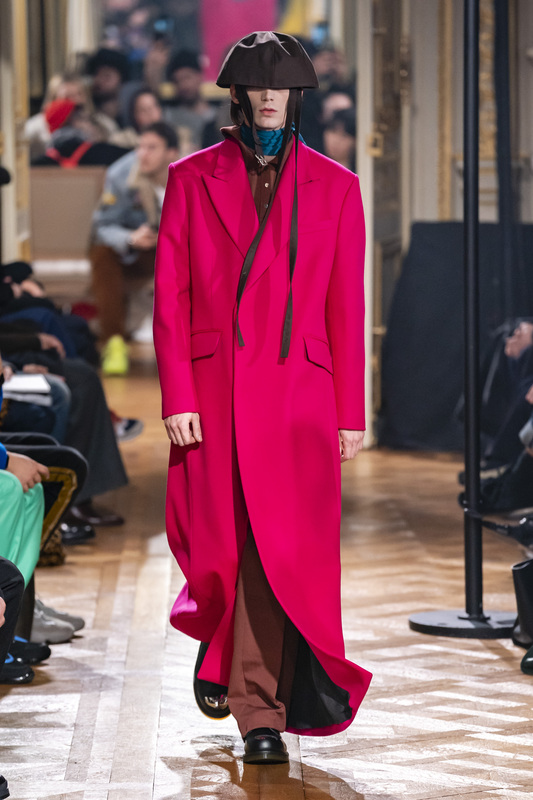 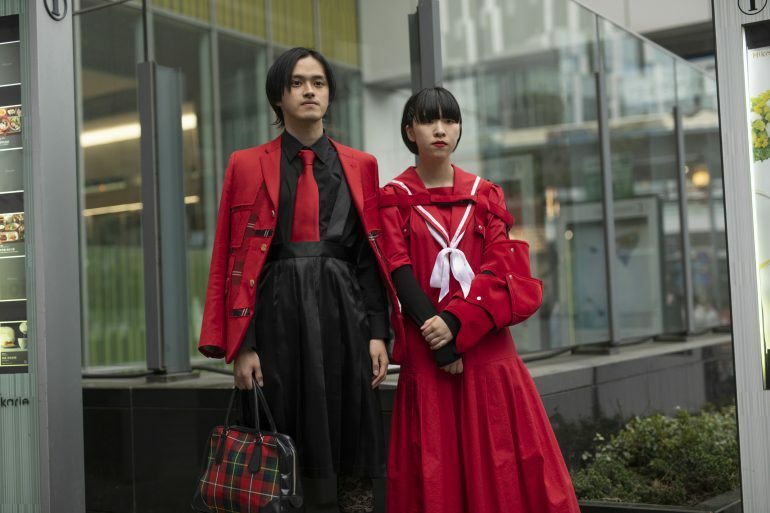 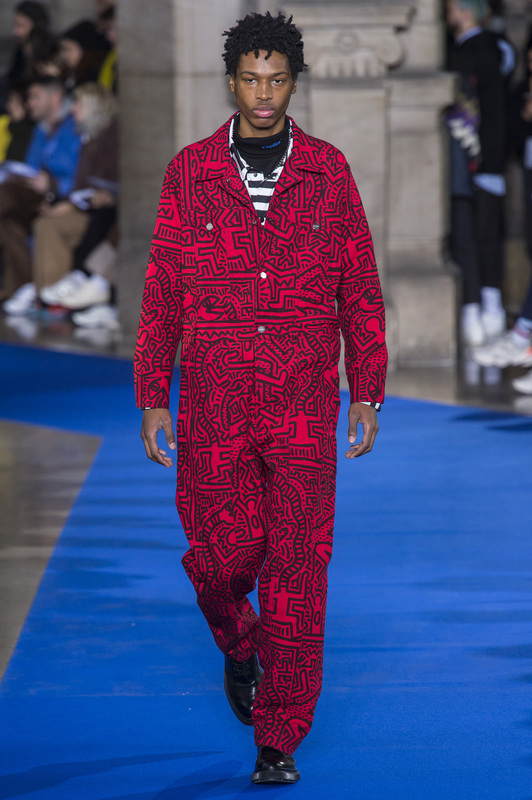 Men’s designers must have had the concept of ‘peacocking’ in mind for Fall 2019 sending a cavalcade of neons, primaries, and shocking pinks down the runway. 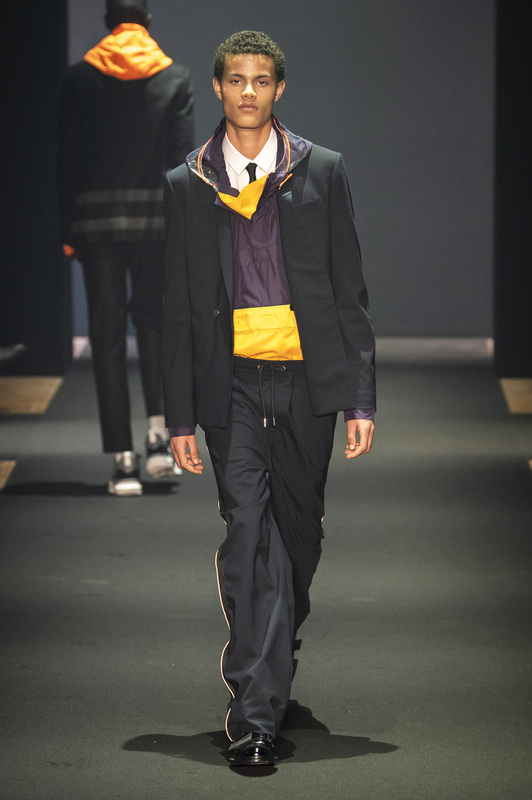 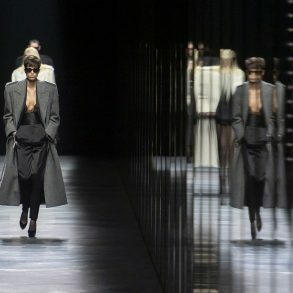 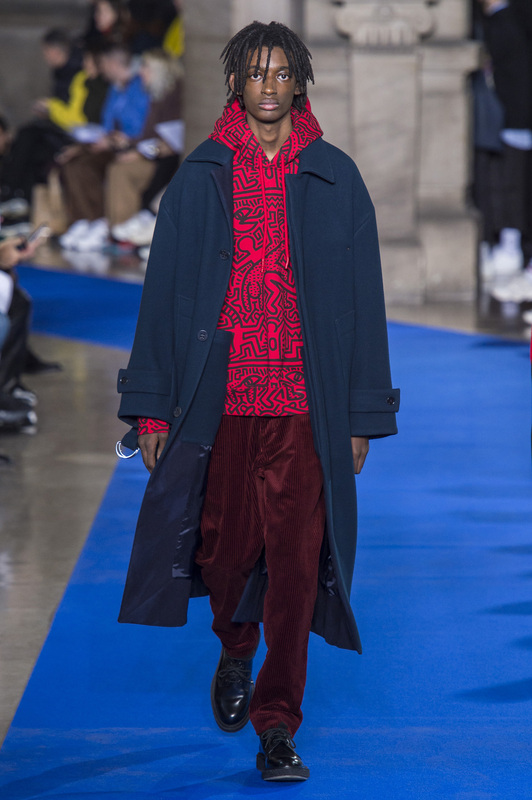 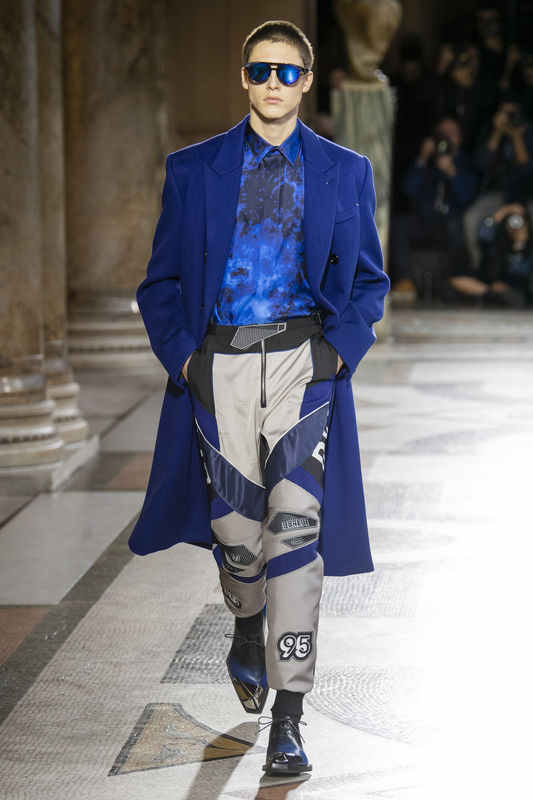 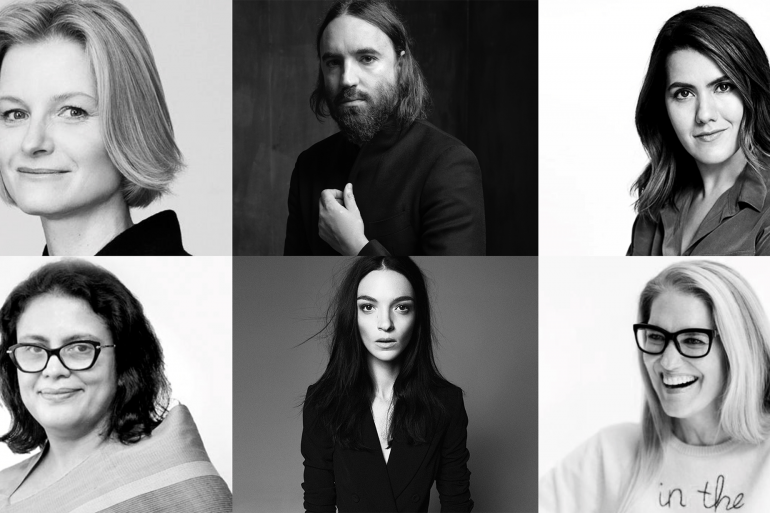 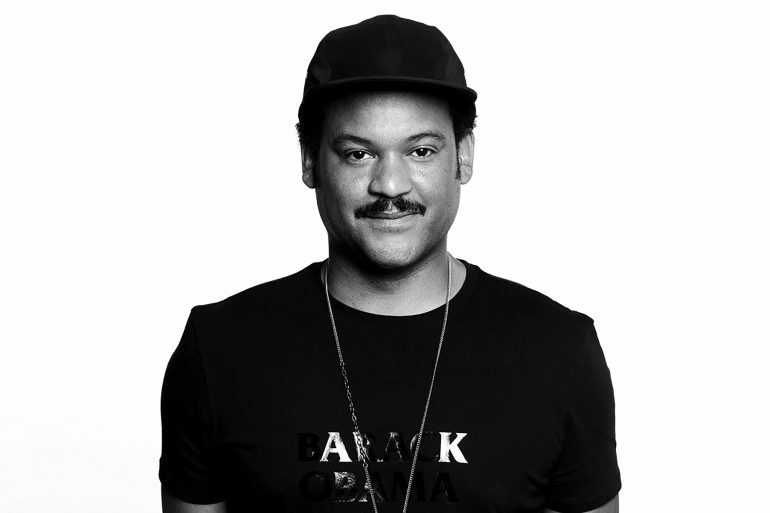 Expected as a foundation for Kenzo, but representative of a trend under the newly appointed creative director of Berluti, Kris Van Assche. 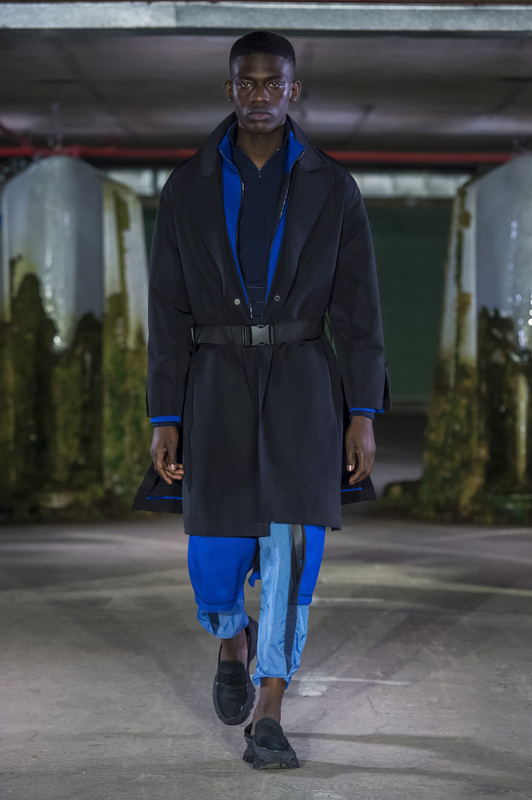 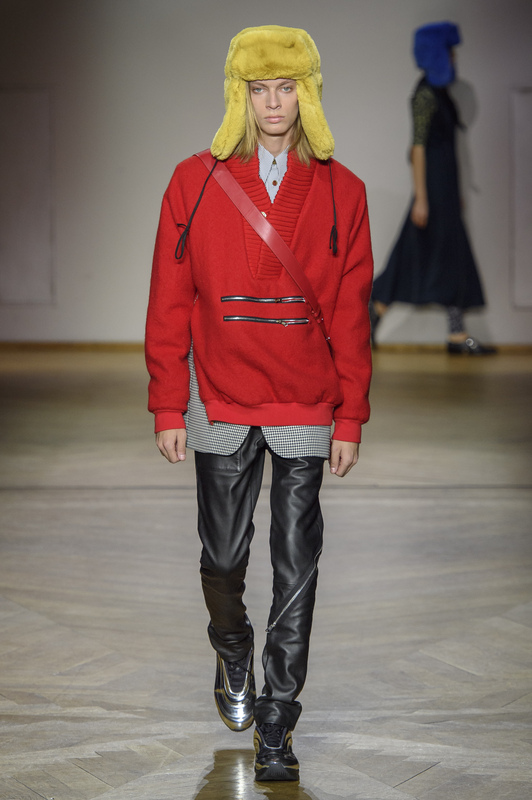 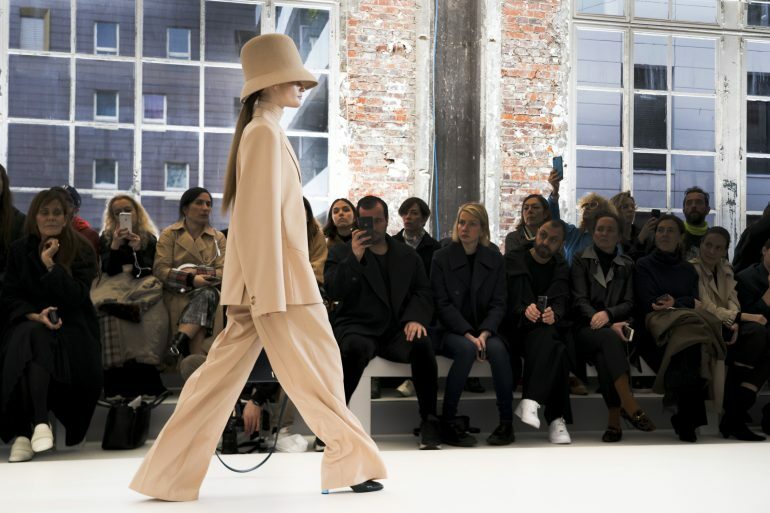 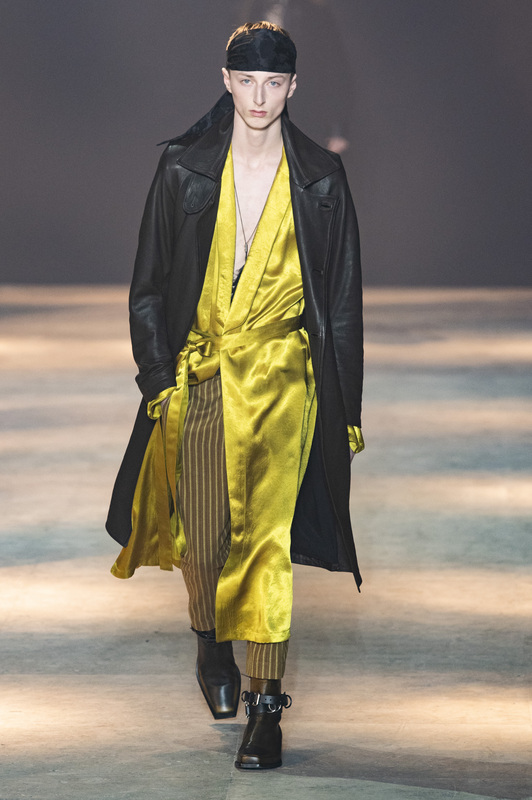 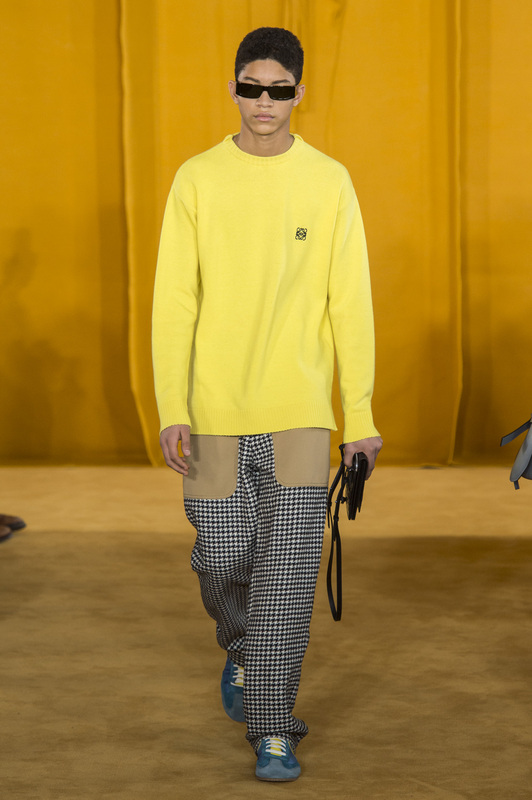 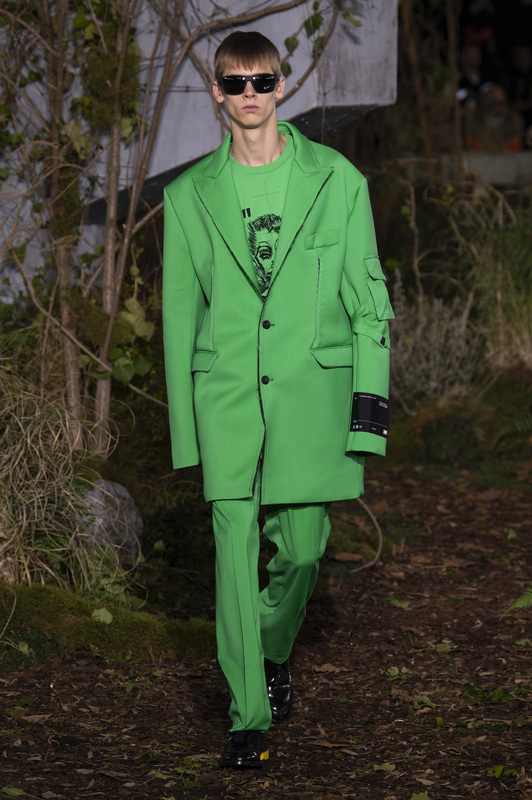 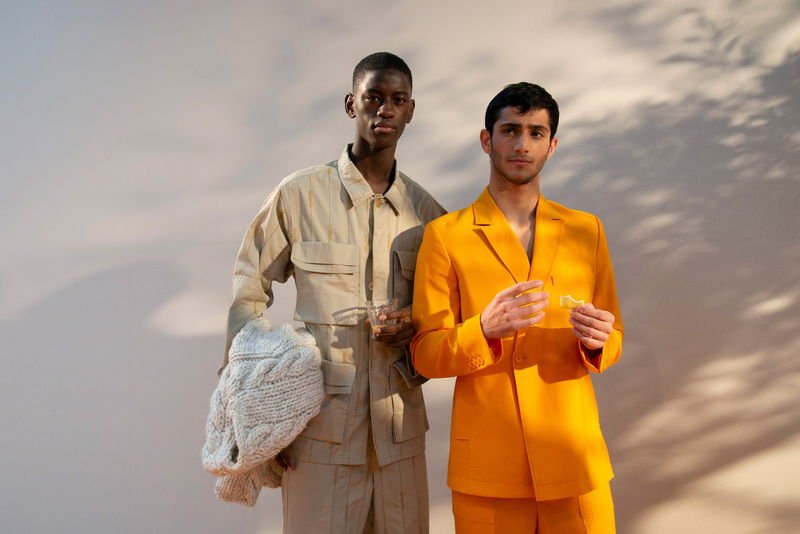 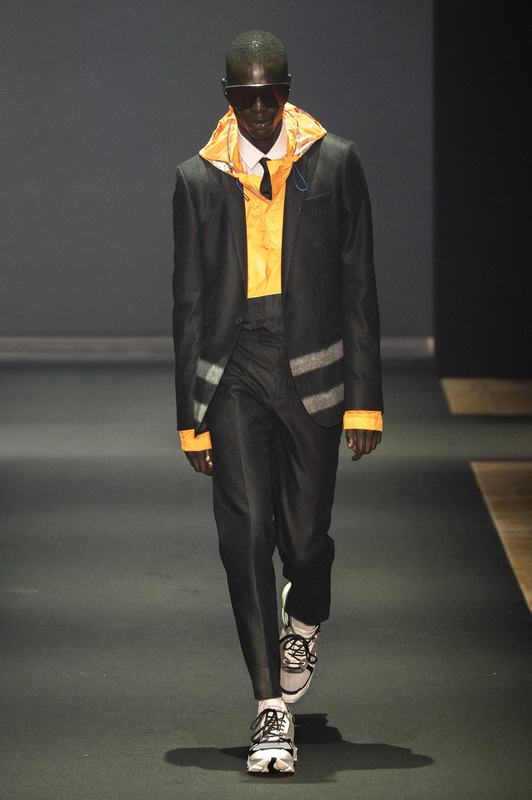 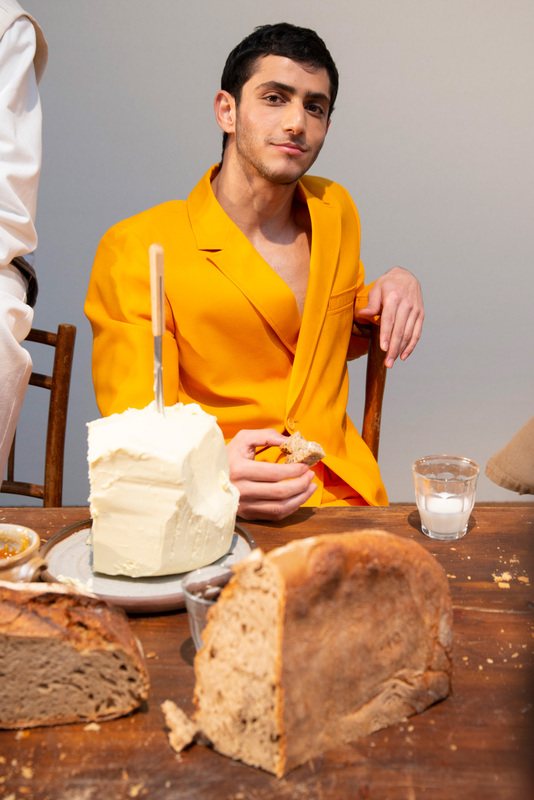 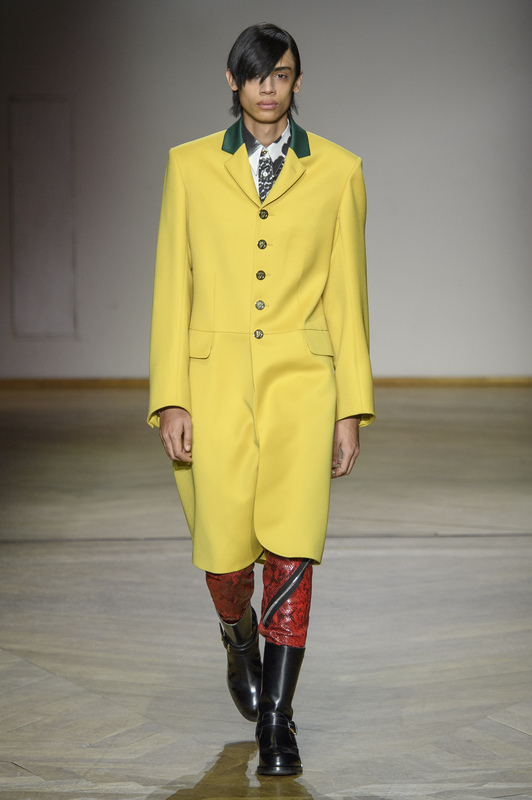 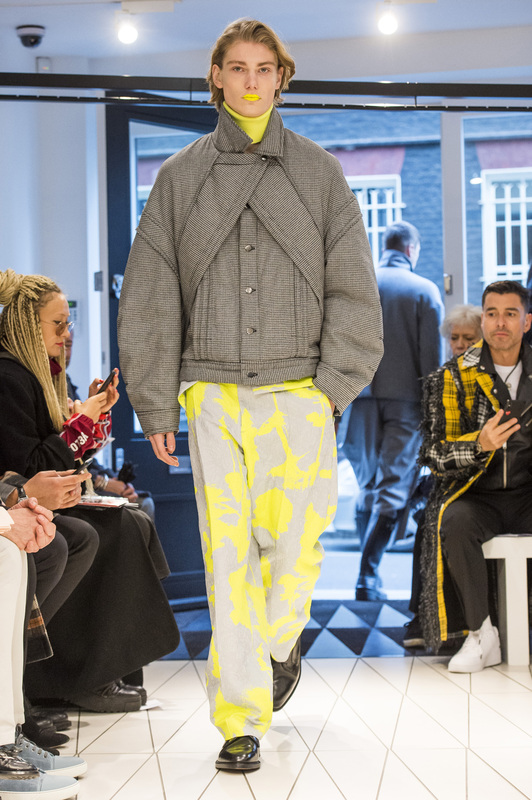 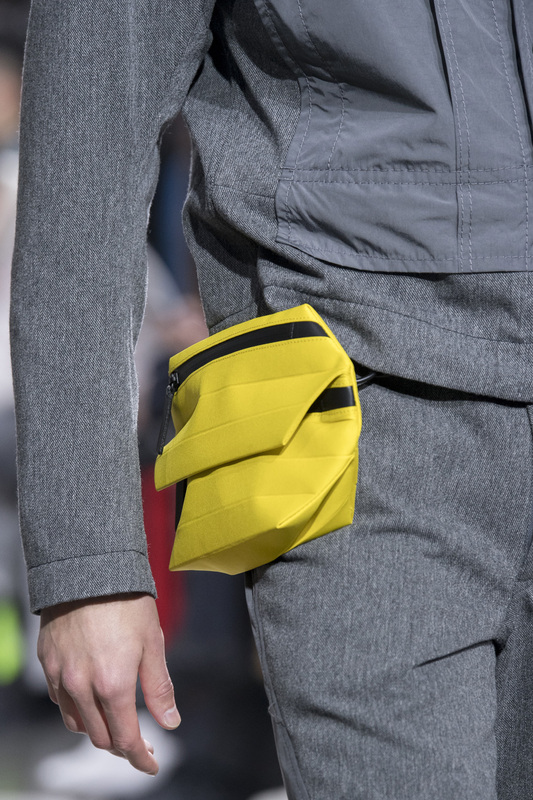 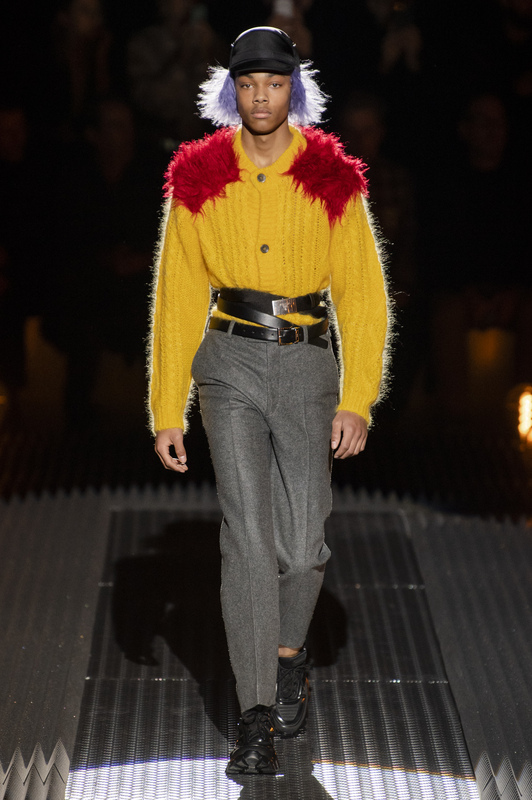 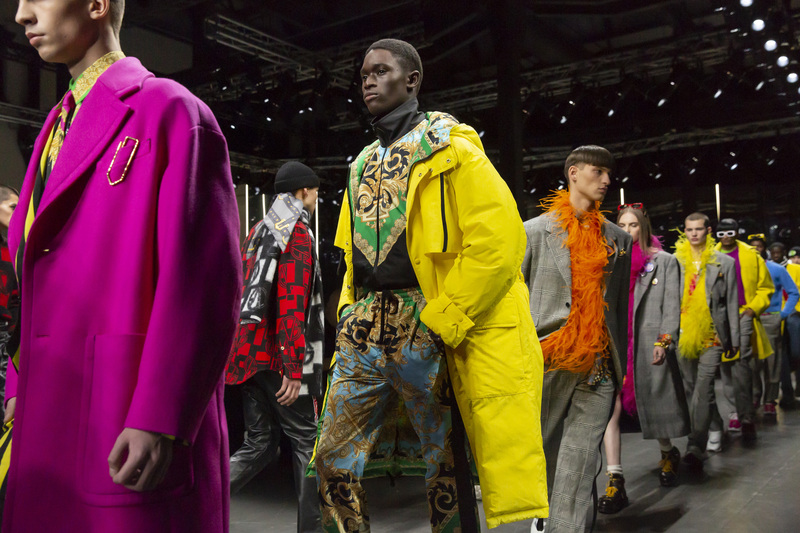 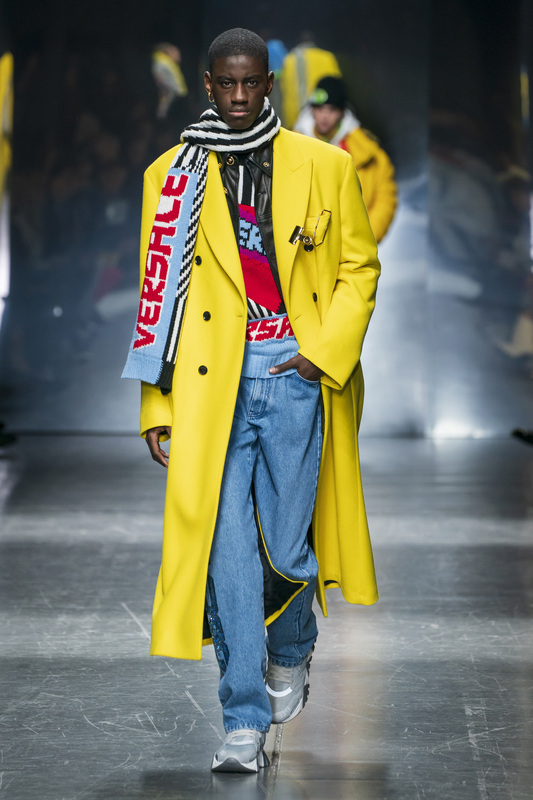 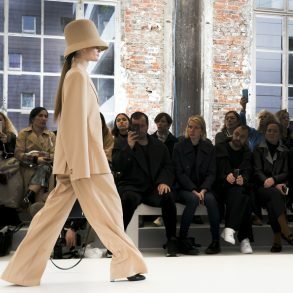 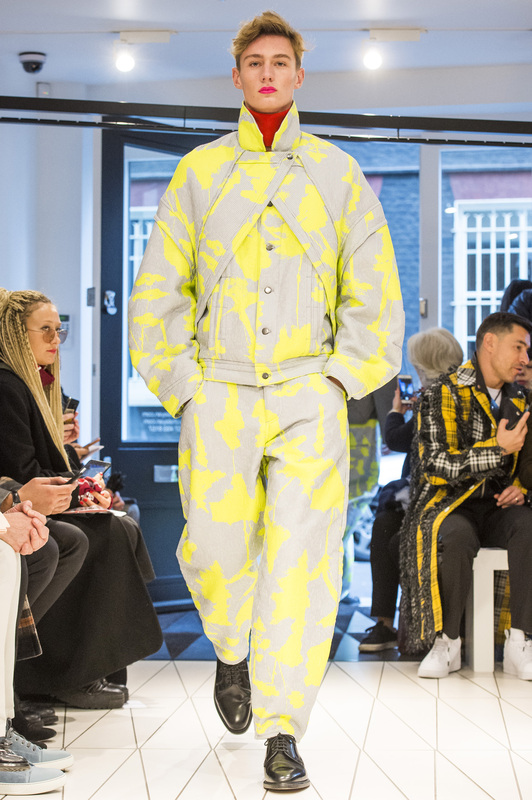 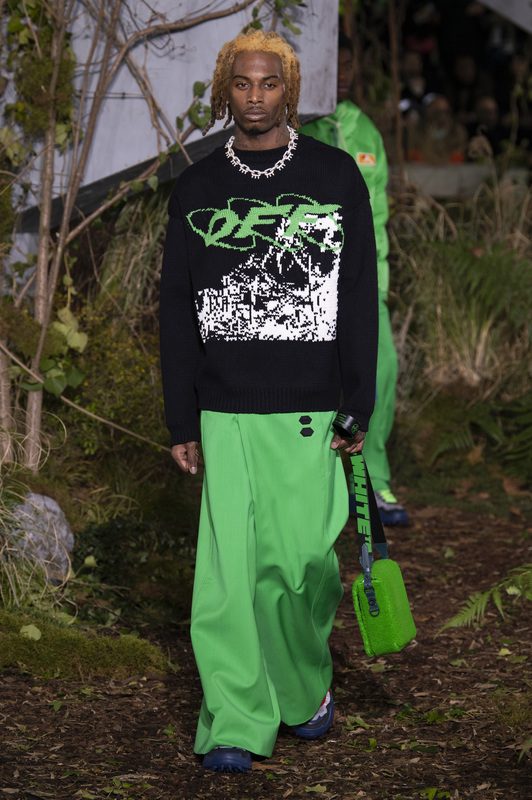 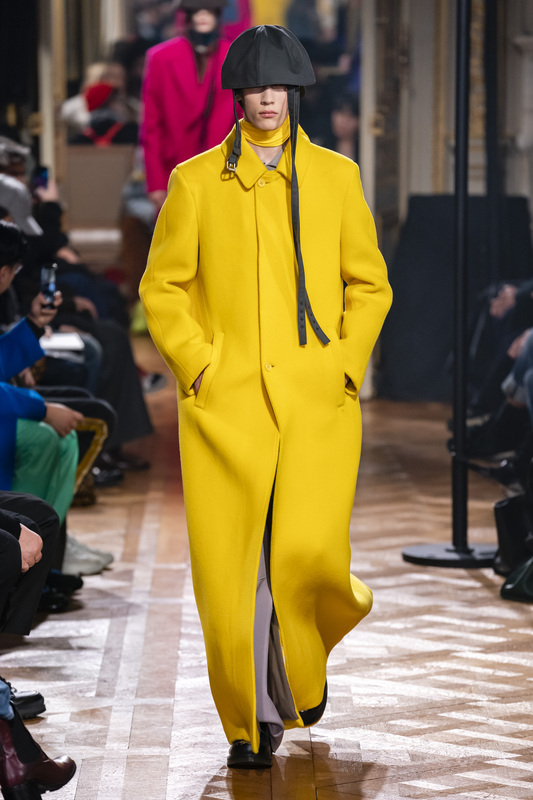 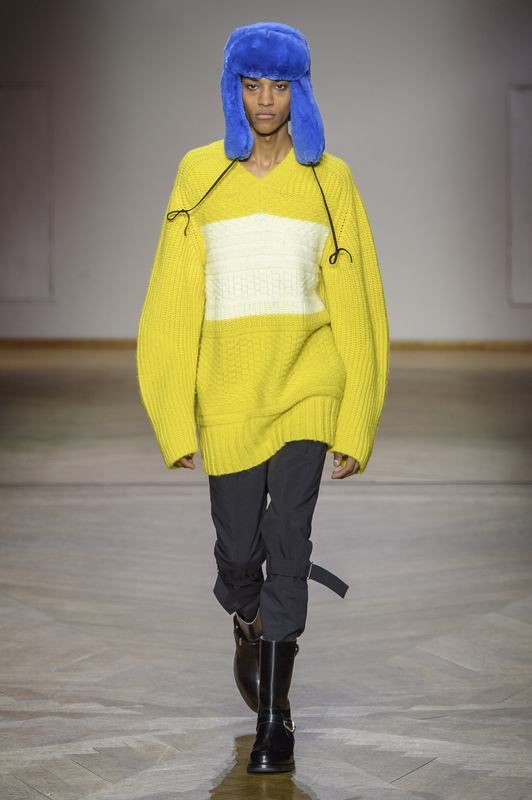 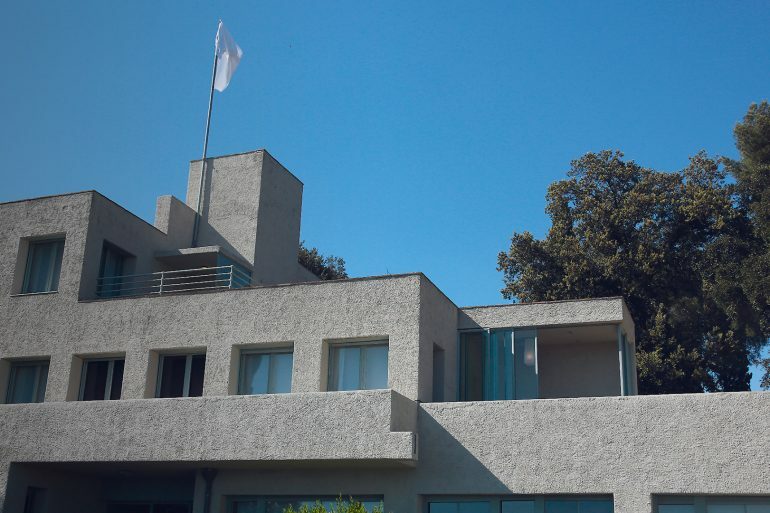 JW Anderson embraced hot sun yellows and neon pinks for his first men’s outing for Loewe, while Versace tilted toward the neons. 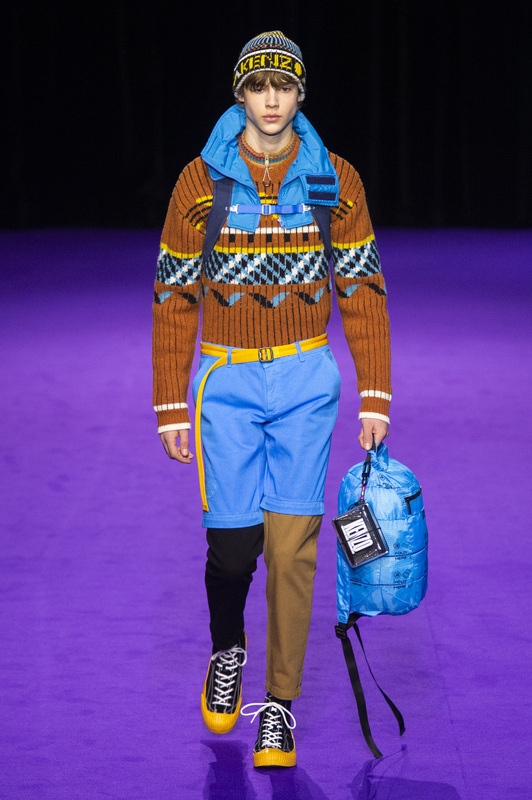 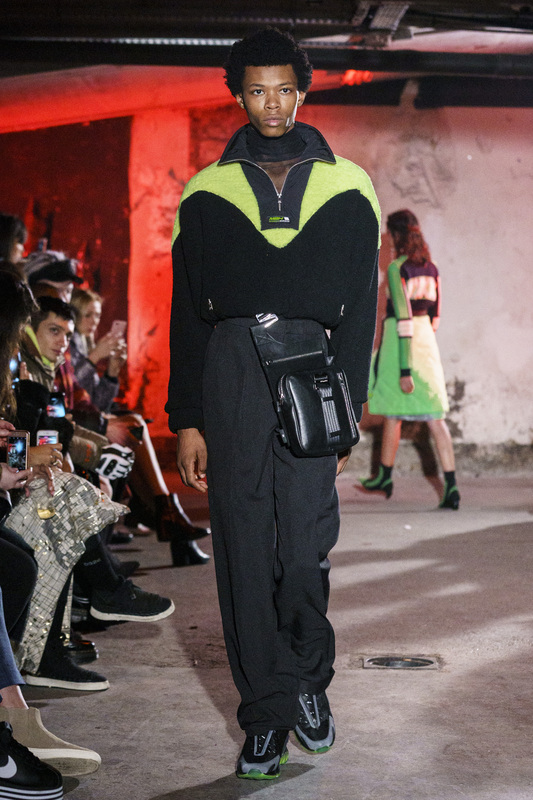 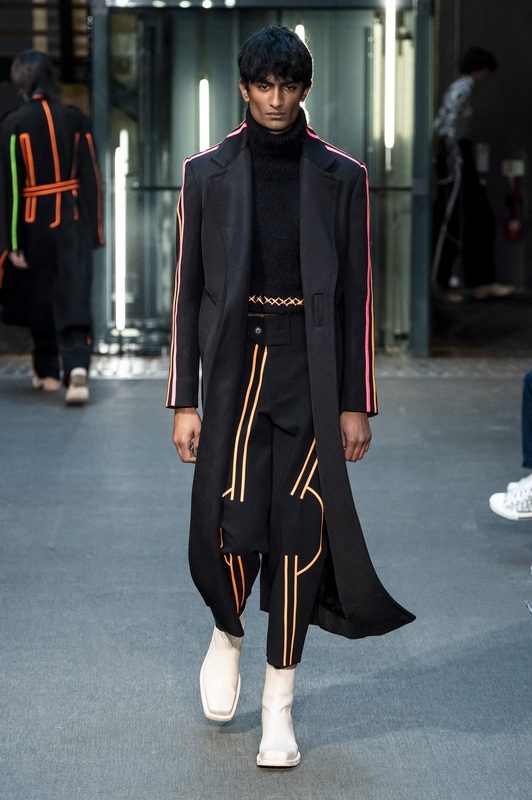 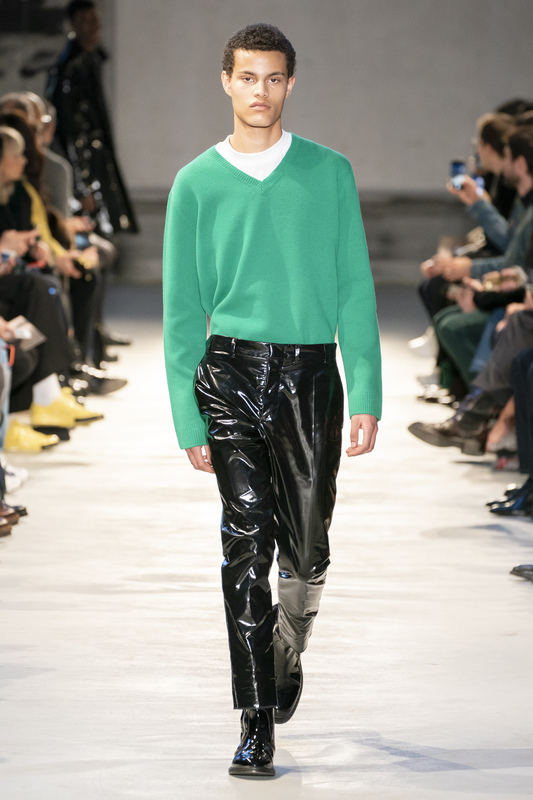 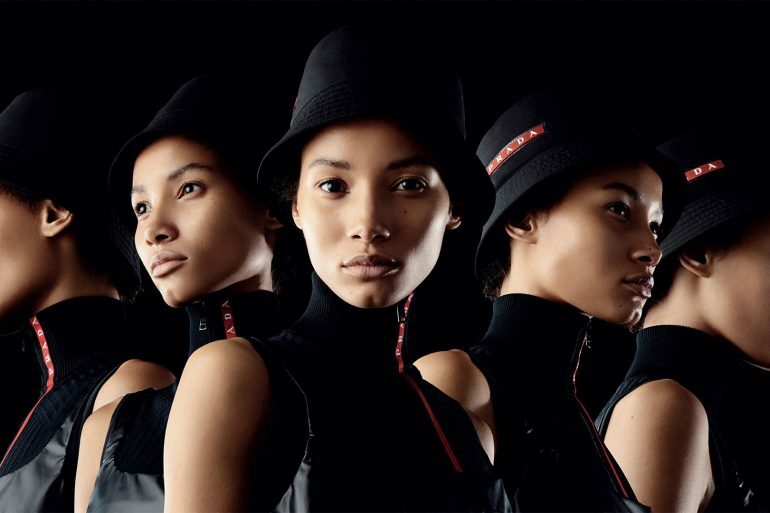 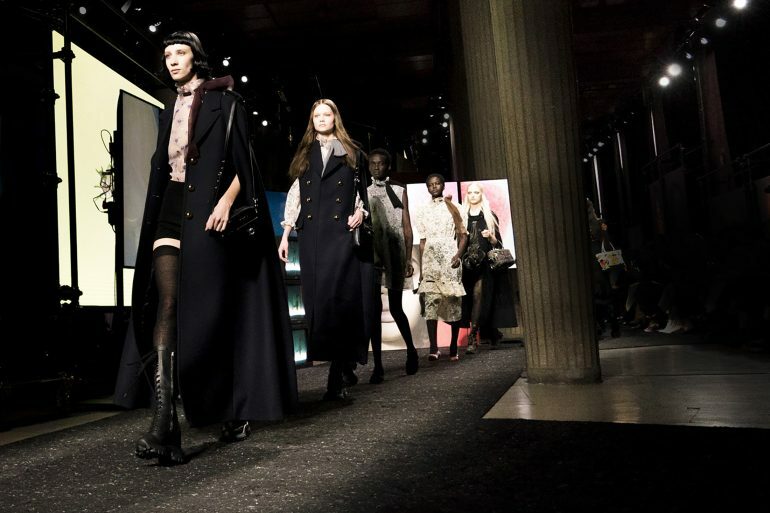 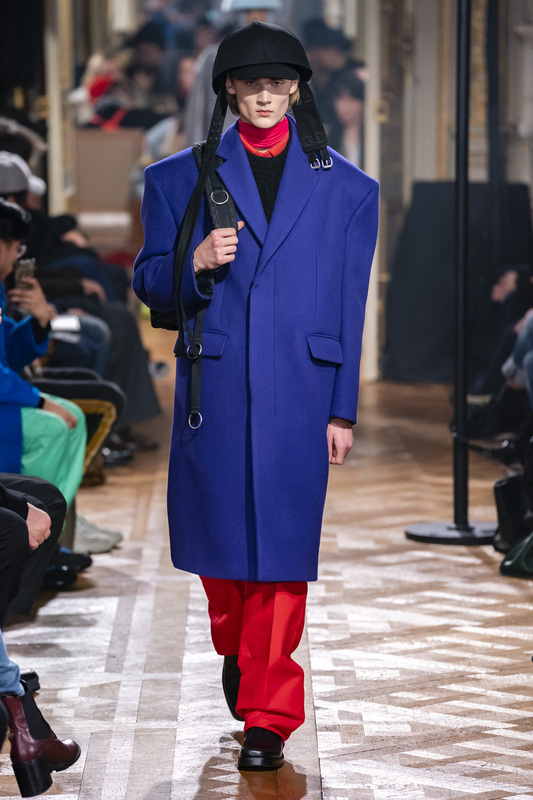 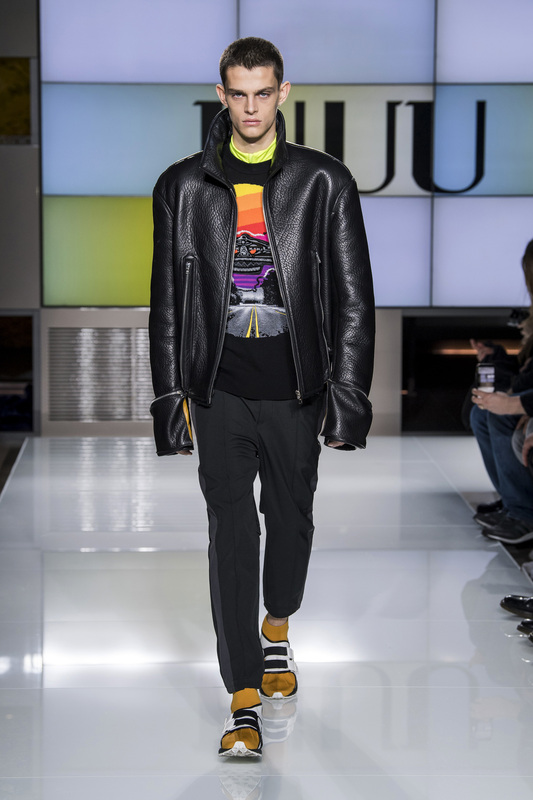 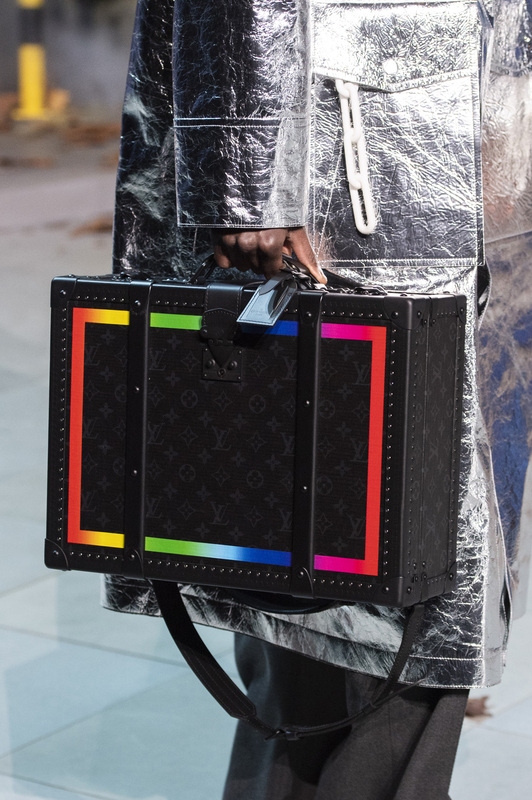 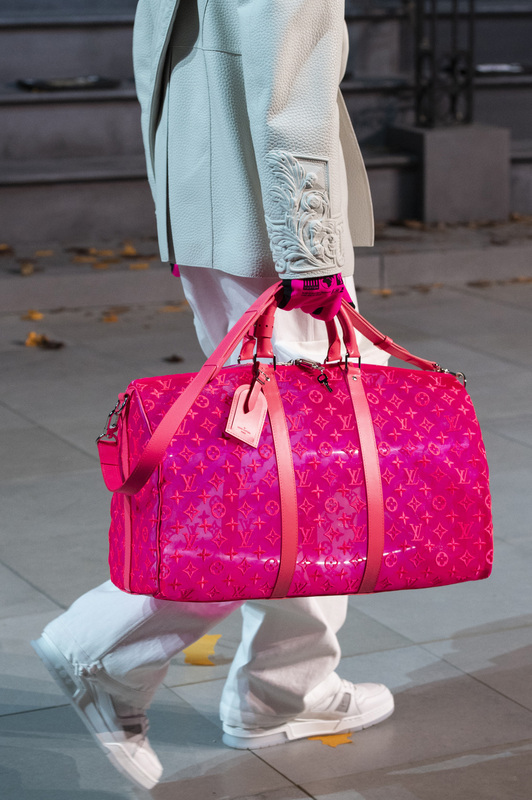 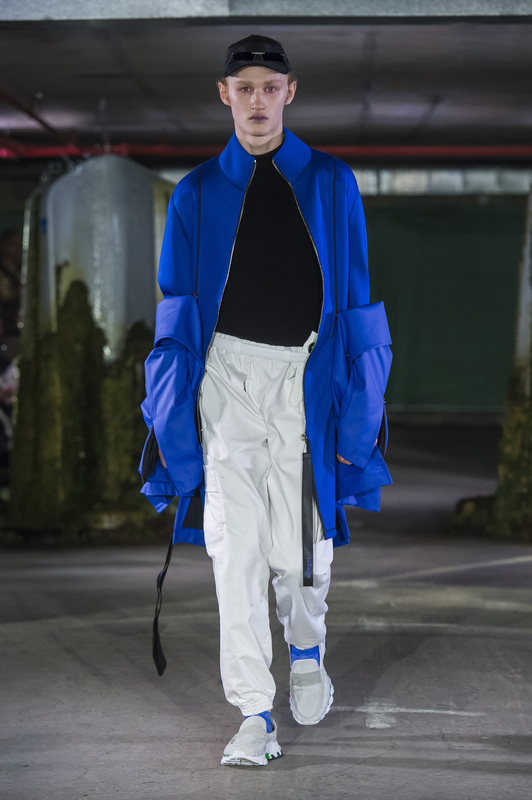 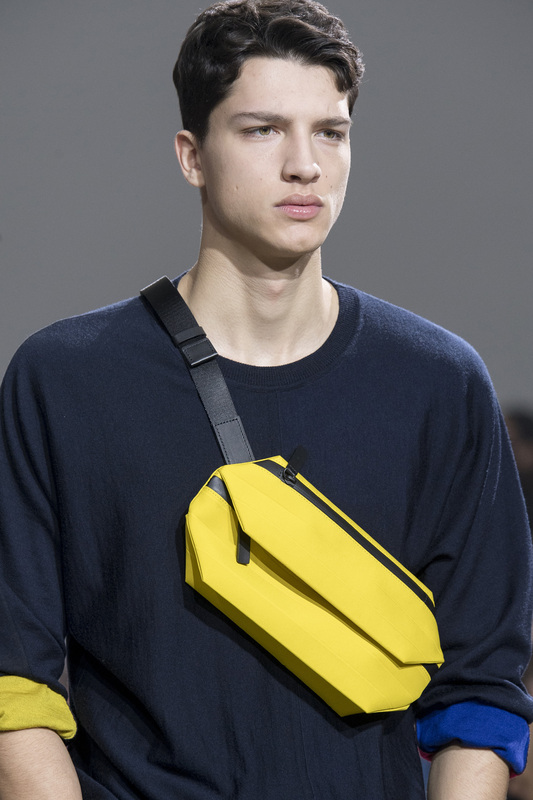 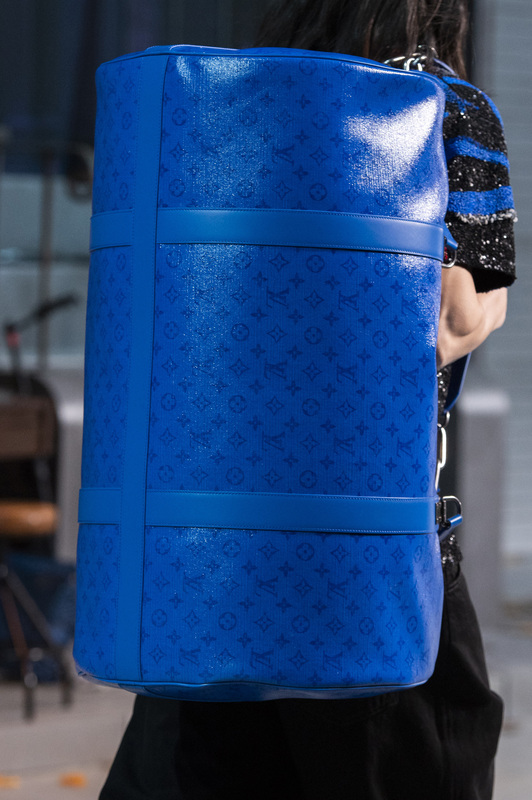 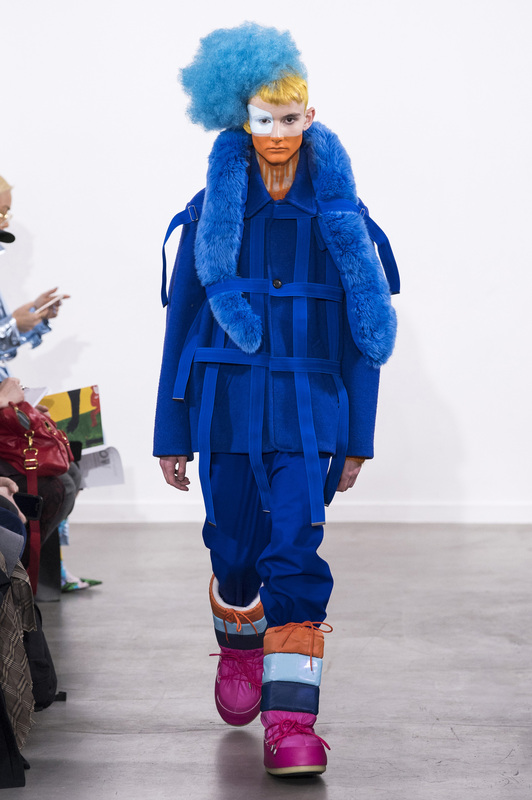 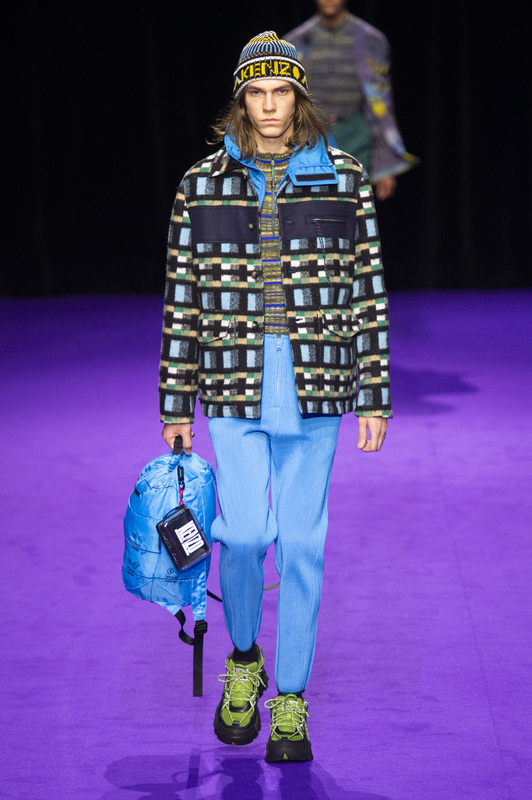 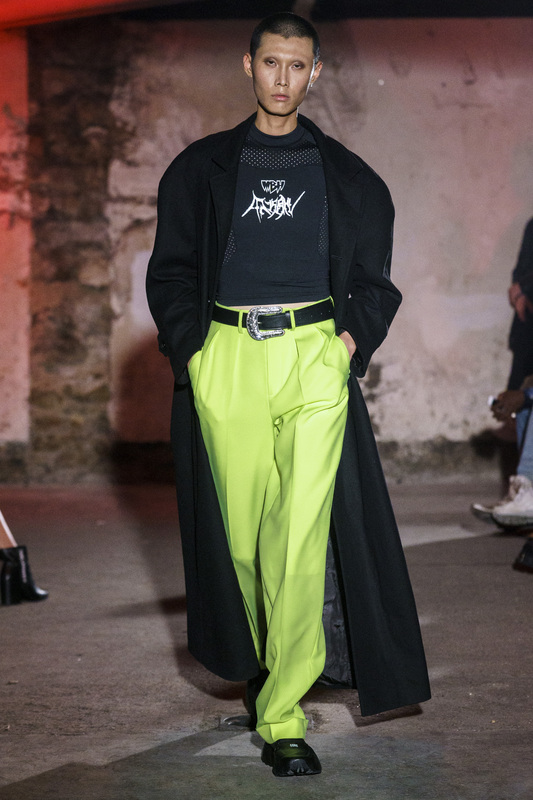 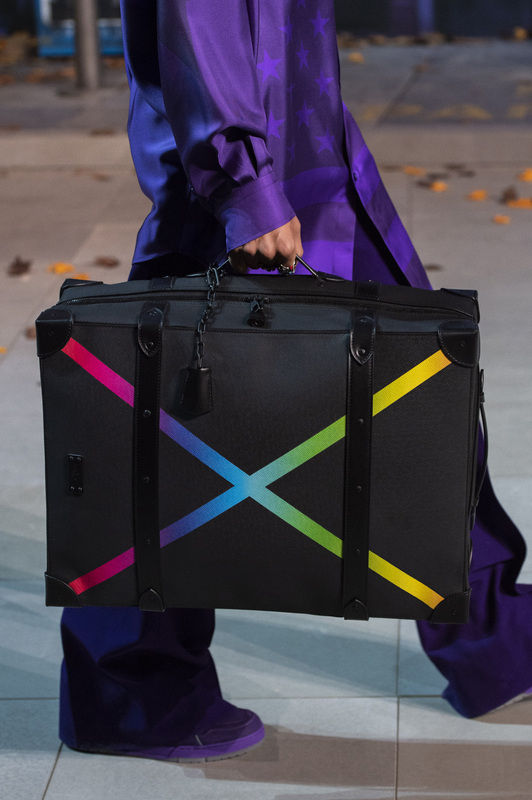 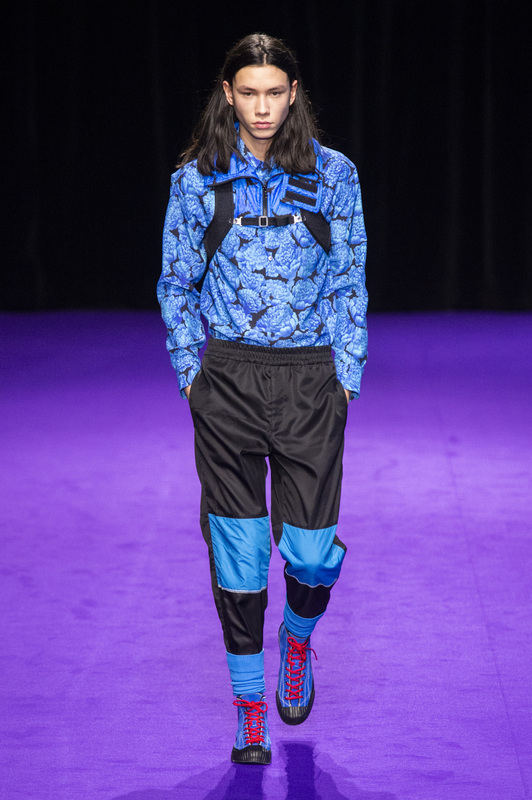 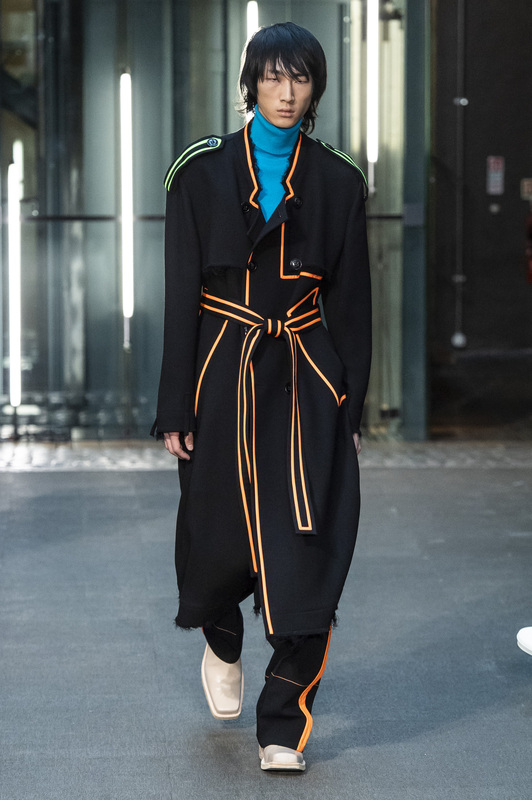 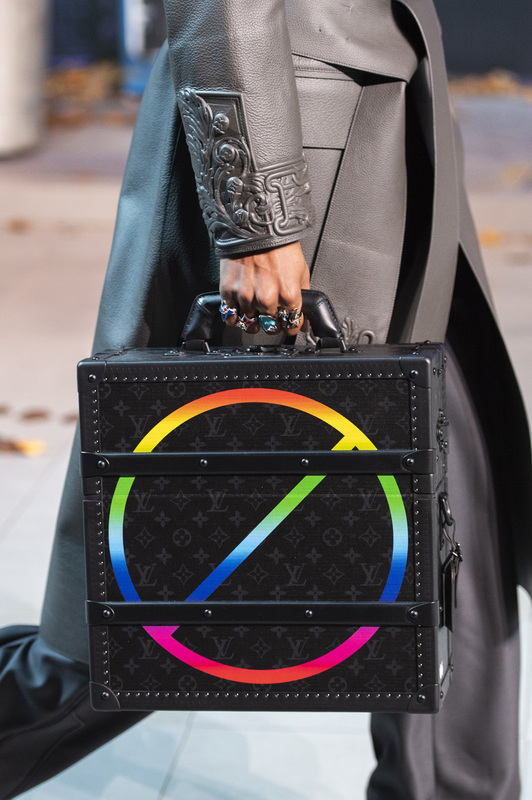 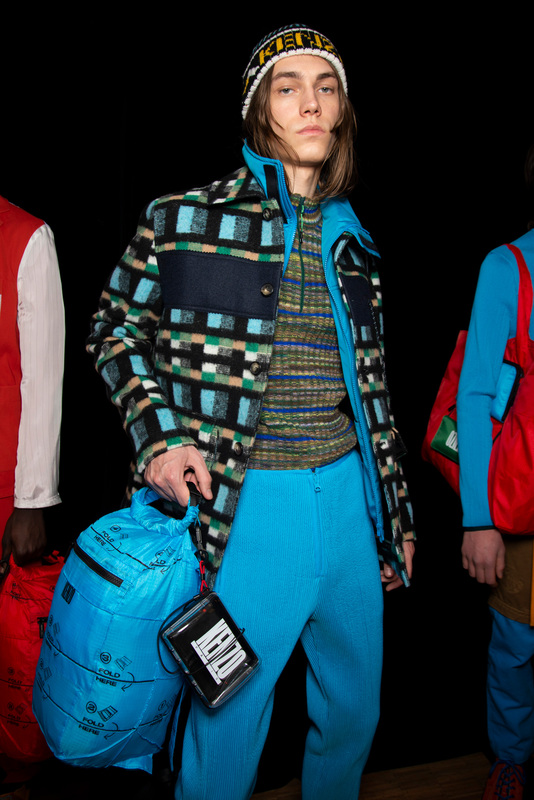 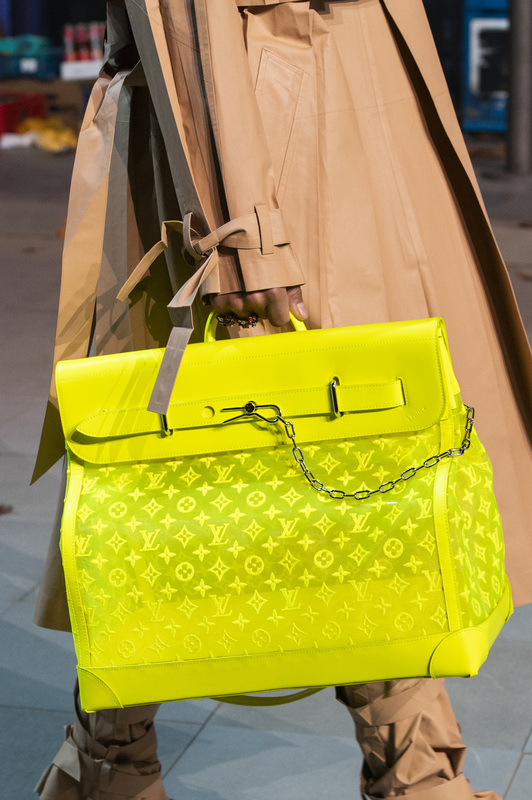 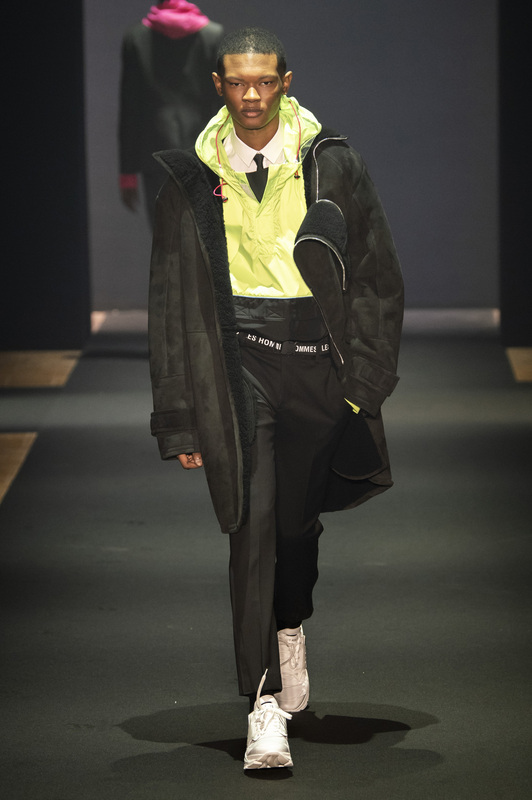 Virgil Abohl sophomore outing at Louis Vuitton took the brights to accessories melding them into neon accents to black luggage or entire duffles in florescent leathers. 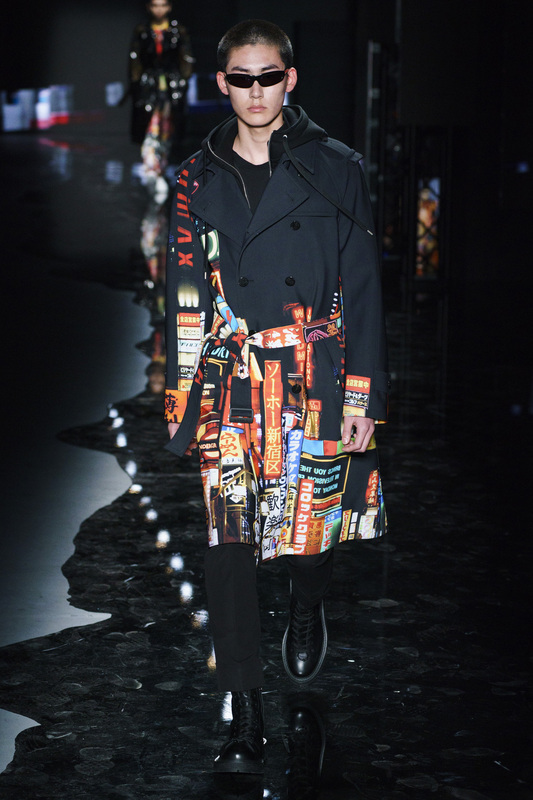 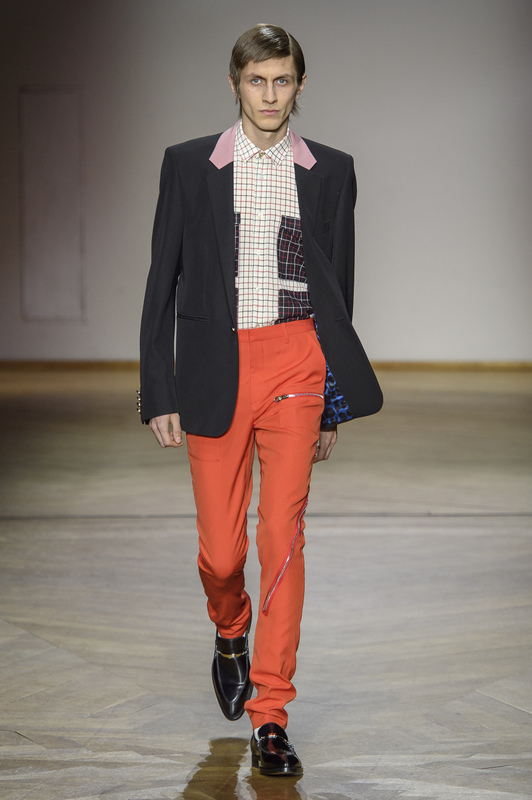 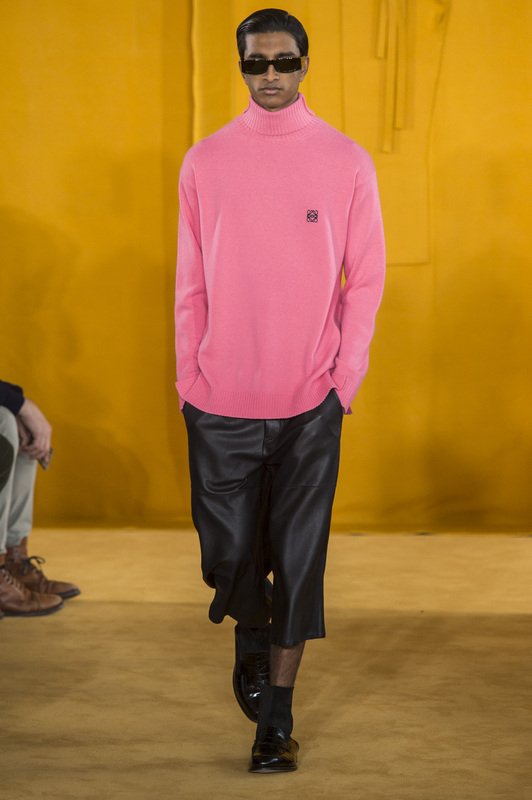 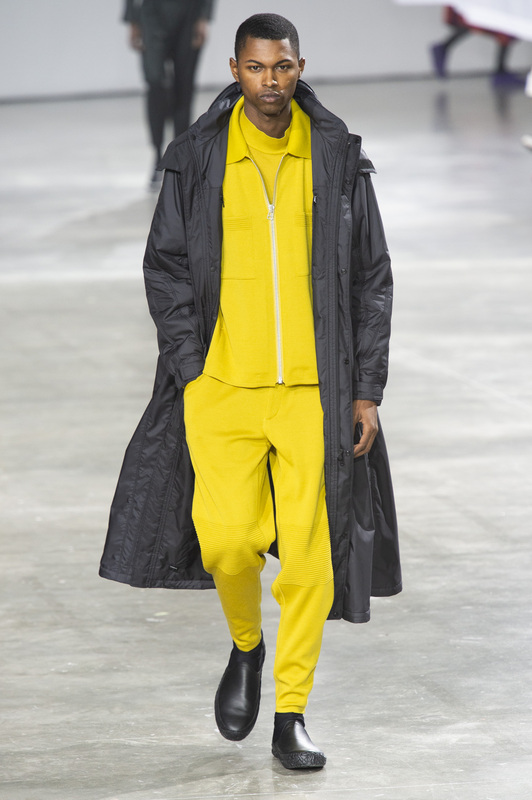 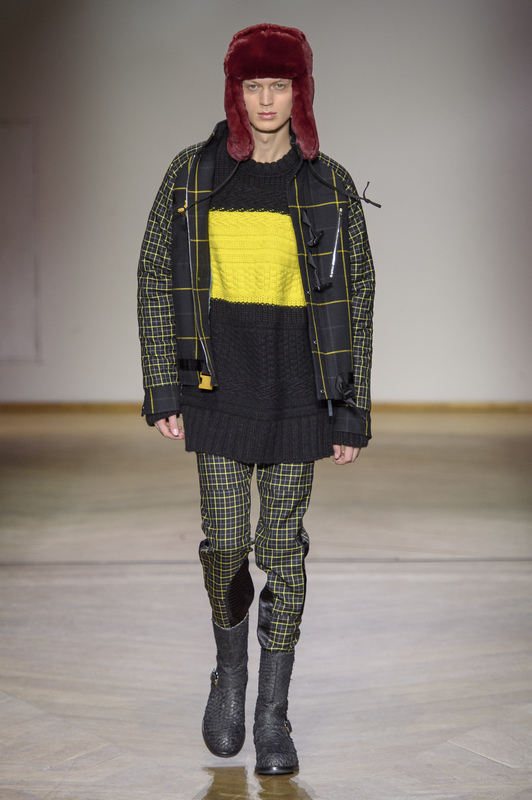 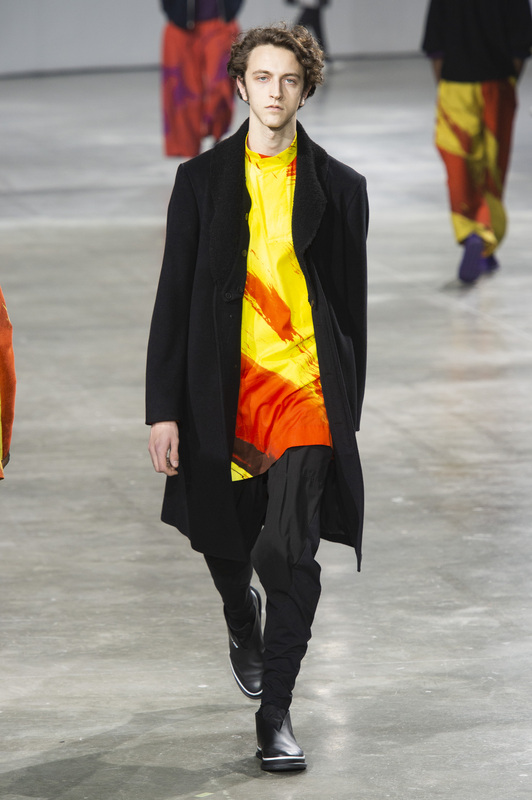 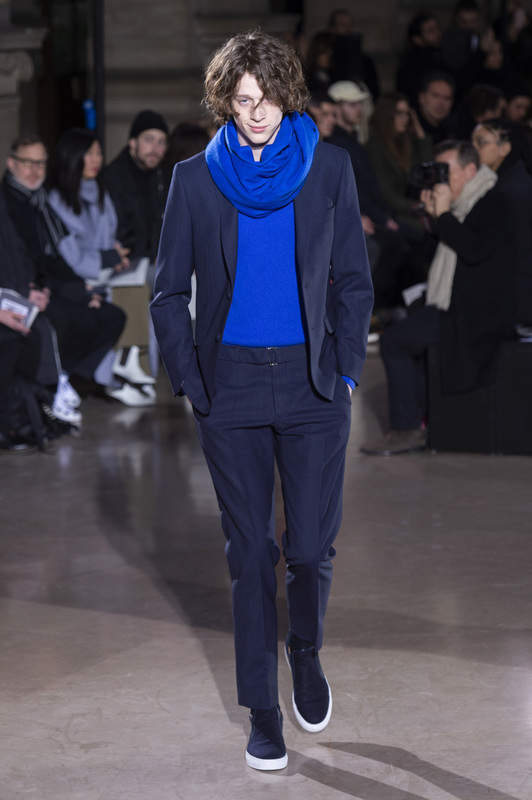 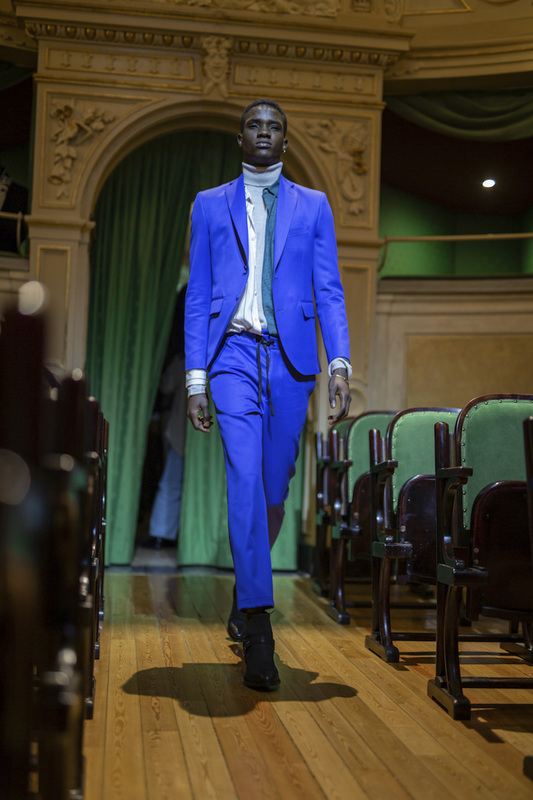 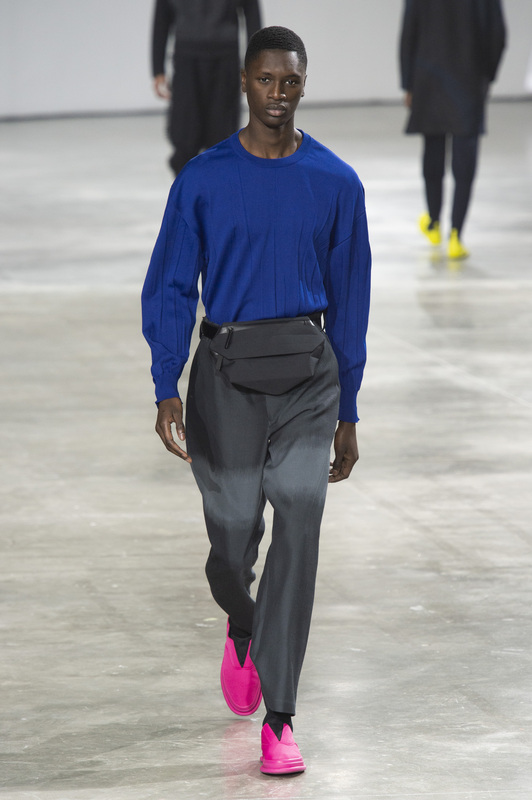 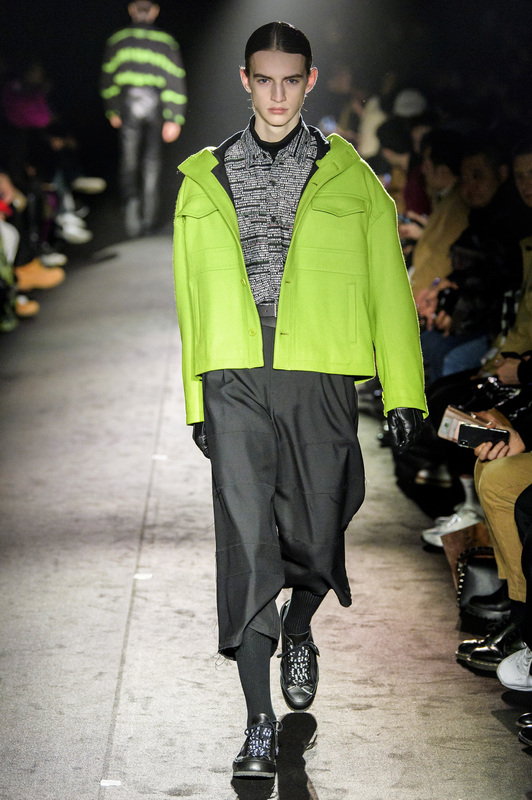 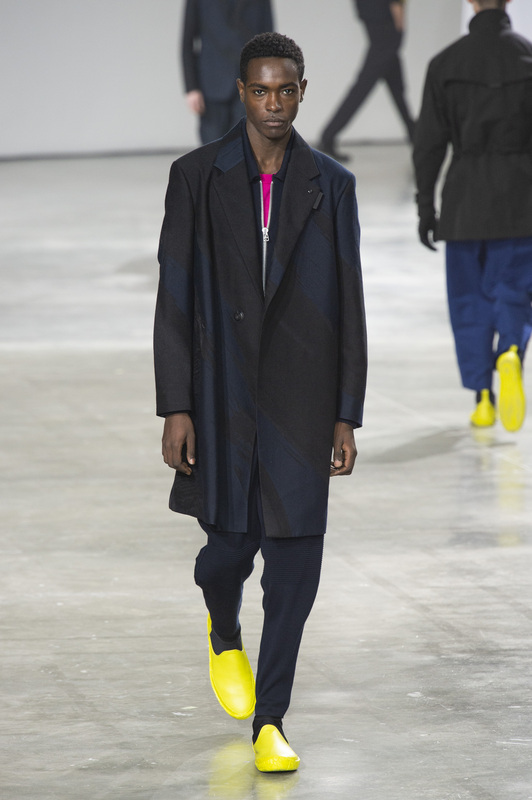 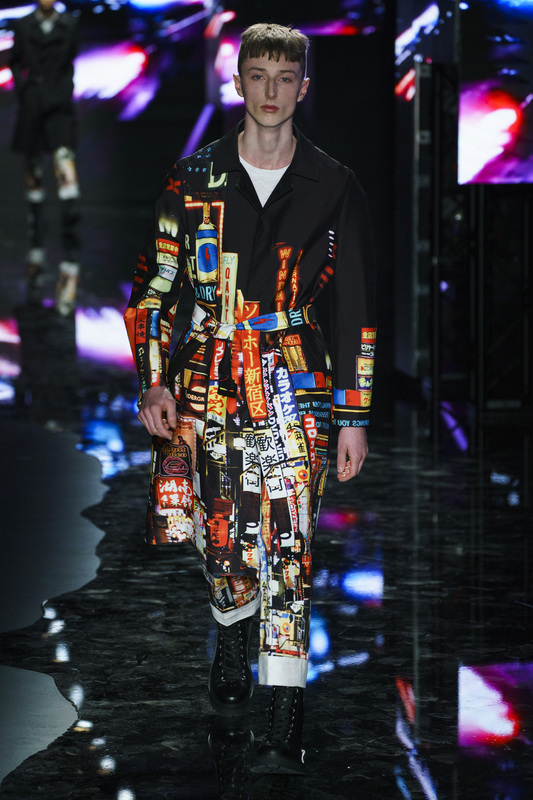 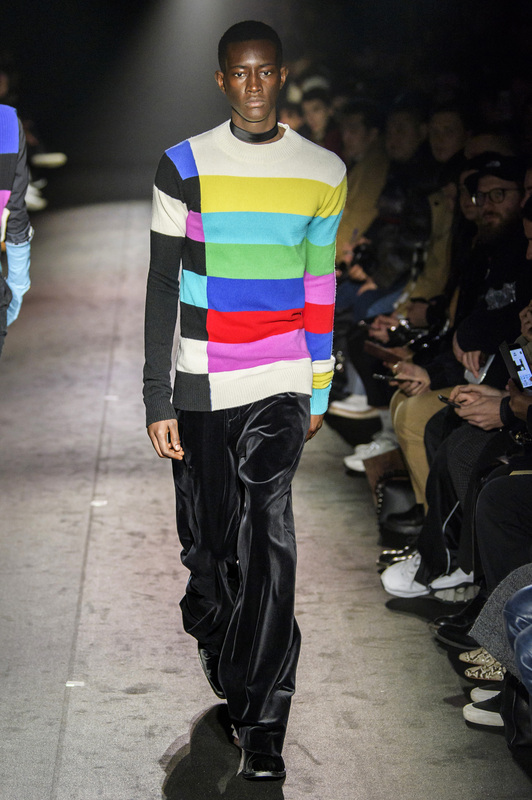 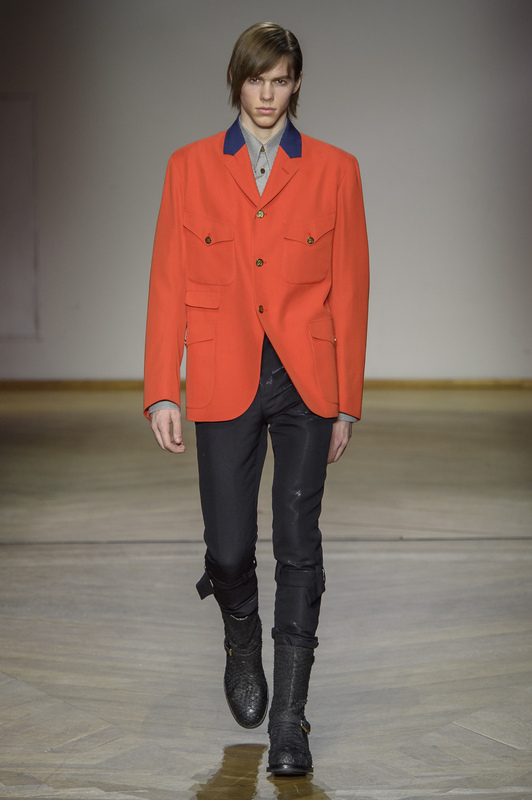 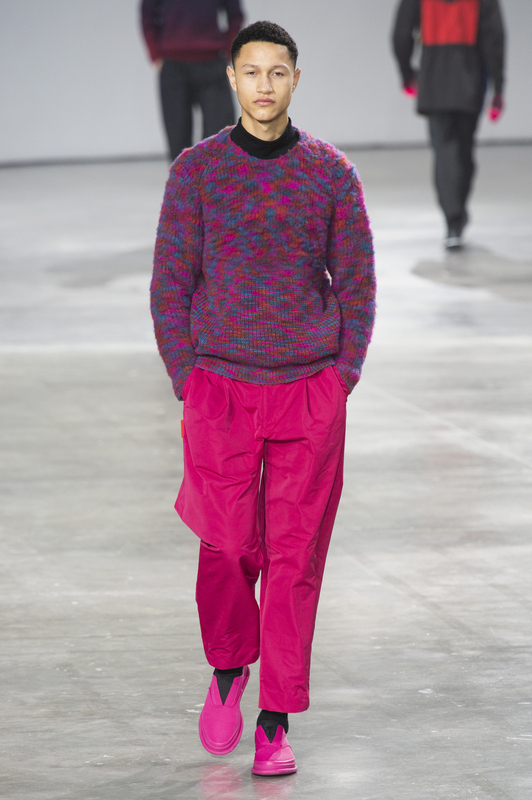 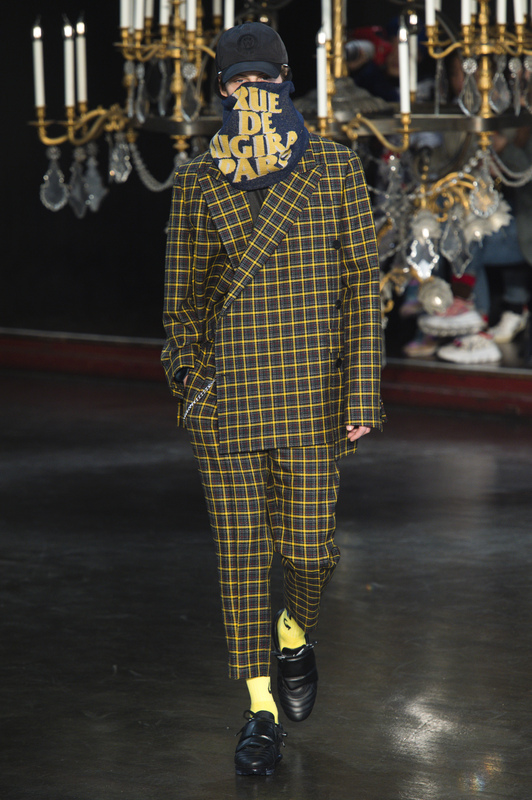 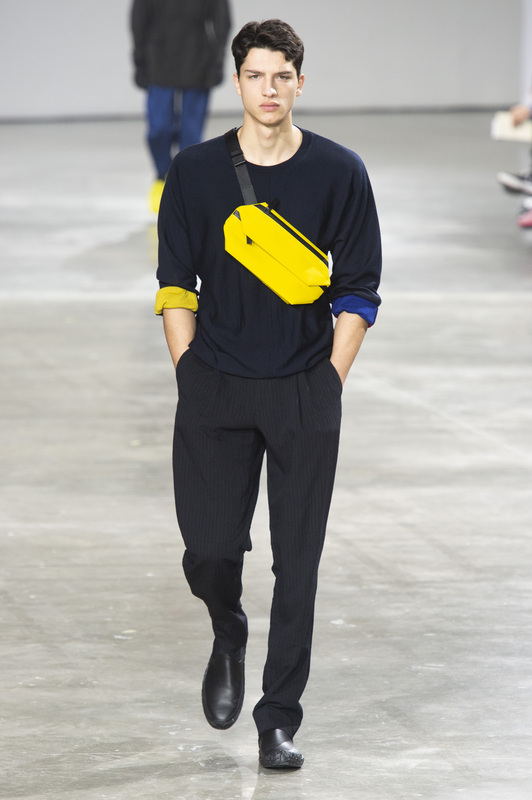 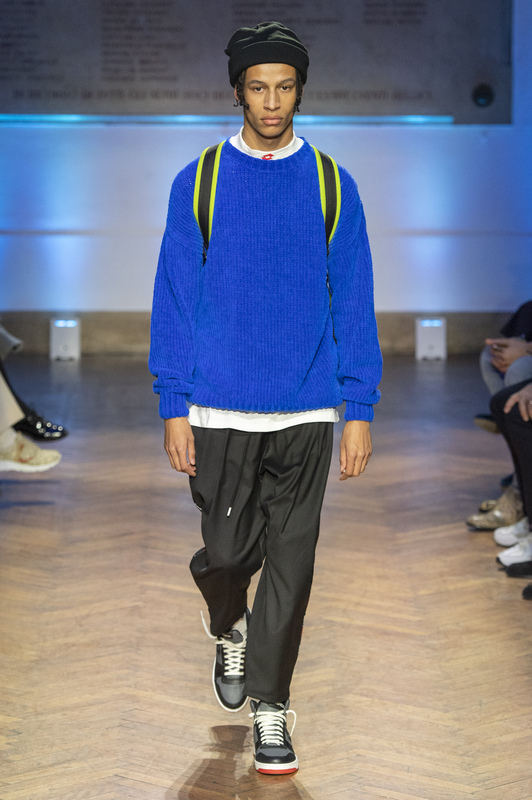 Men’s master Raf Simons, never one to shy from being bold, embraced the bright spectrum for fall as well. 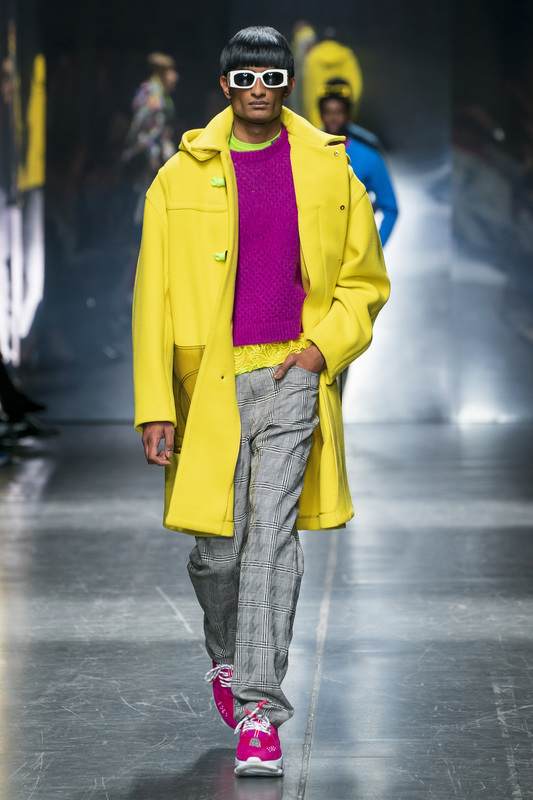 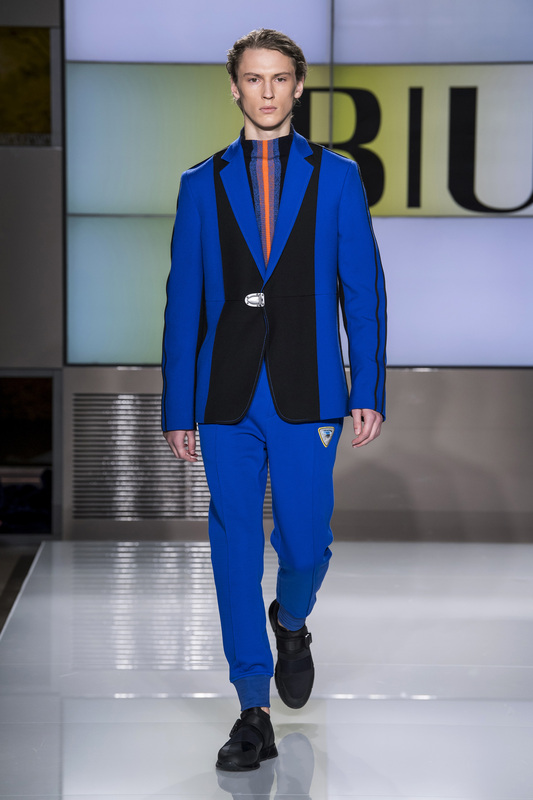 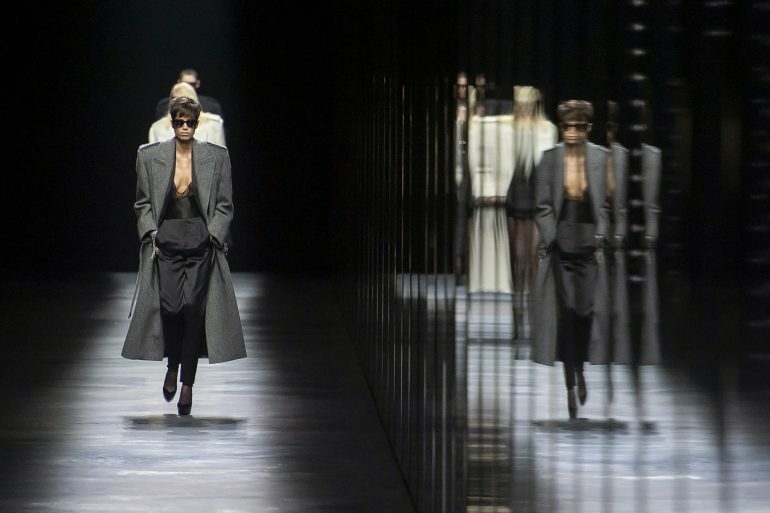 Here is to all the bright and bold in The Impression’s latest fashion trend of the season.